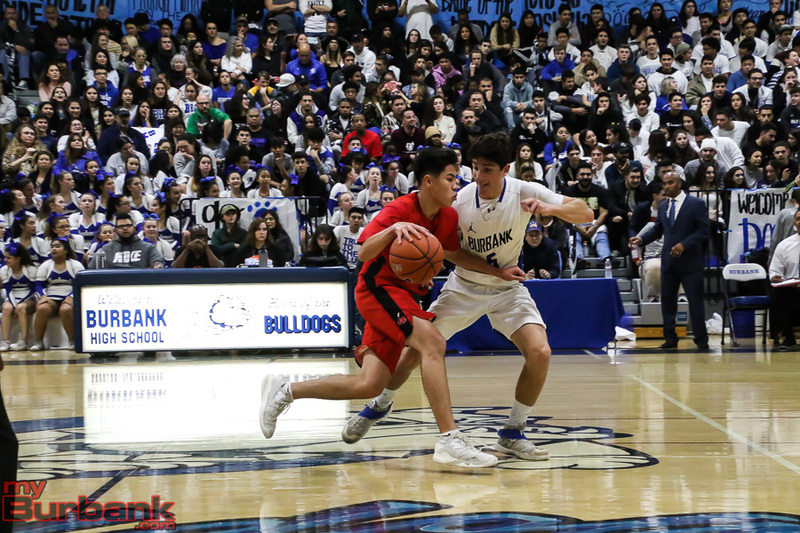 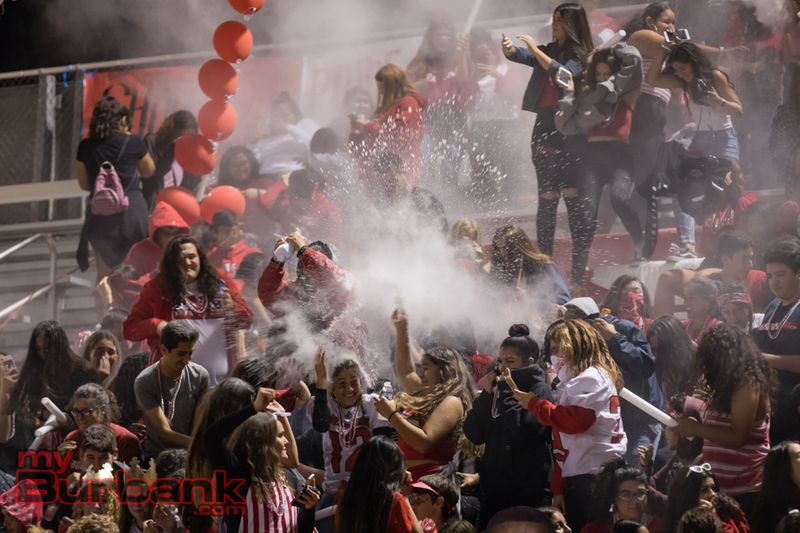 Matthew Porras probably shouldn’t have even suited Friday night for Burbank High when the Bulldogs took on Burroughs in ‘The Big Game’ at Memorial Field. 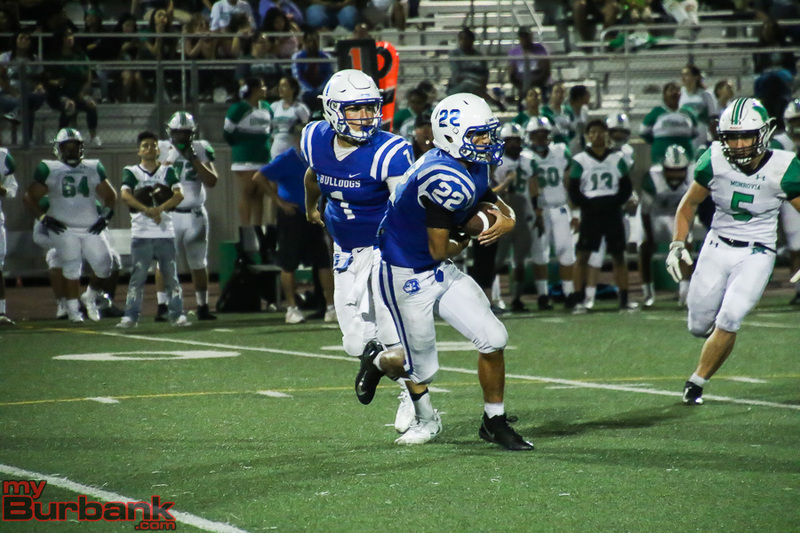 Porras, who said he had been vomiting less than 24 hours earlier, threw a career-high and school record seven touchdown passes in a 54-20 over the Indians. 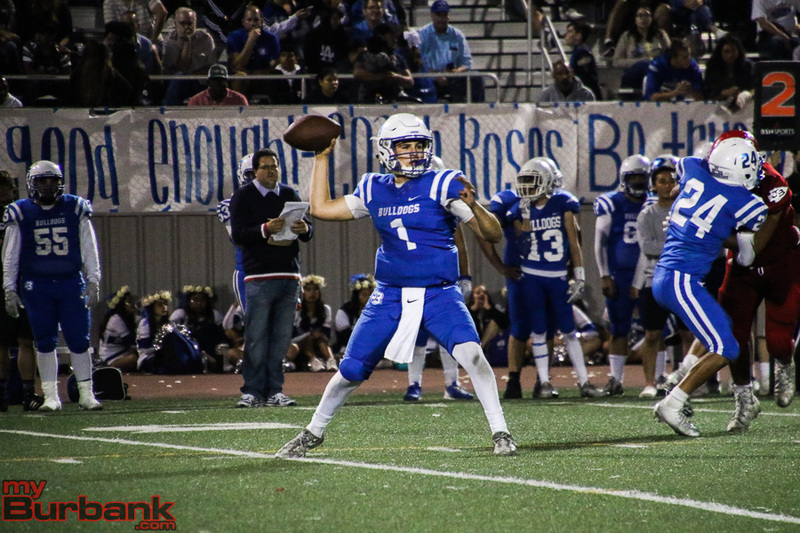 Porras became Burbank’s single game, single season and career touchdown pass leader all in the same contest. 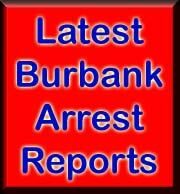 “This morning I threw up at about 5 in the morning. 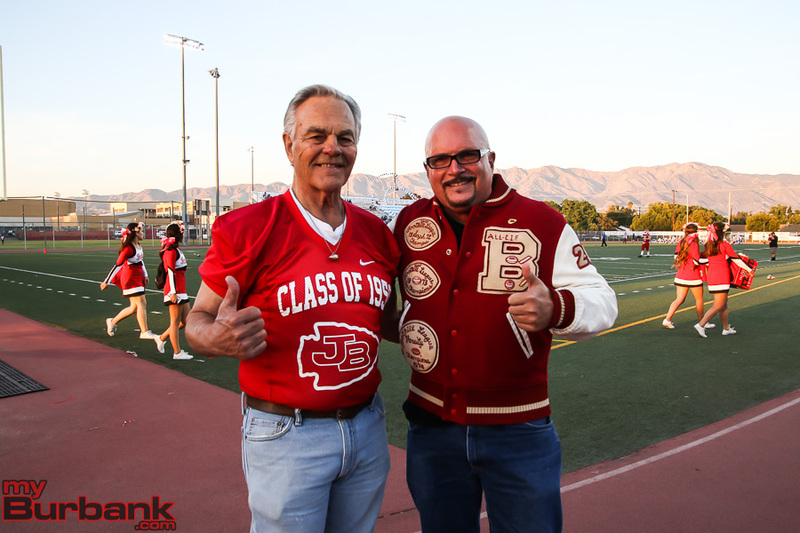 Then I had a bunch of fluids and came to school,” said Porras, who said he only had soup and saltines. 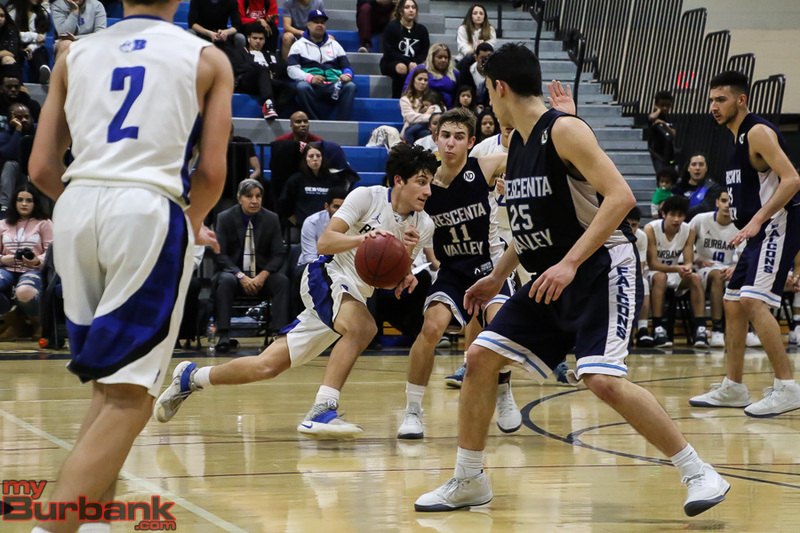 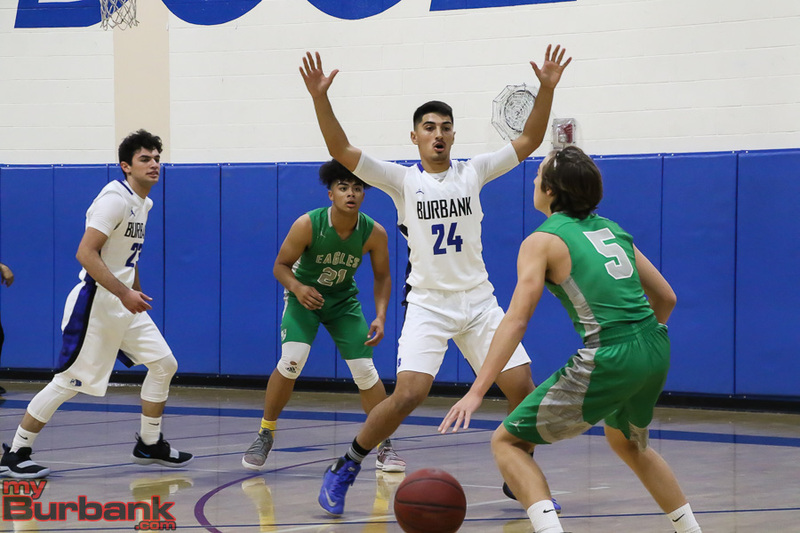 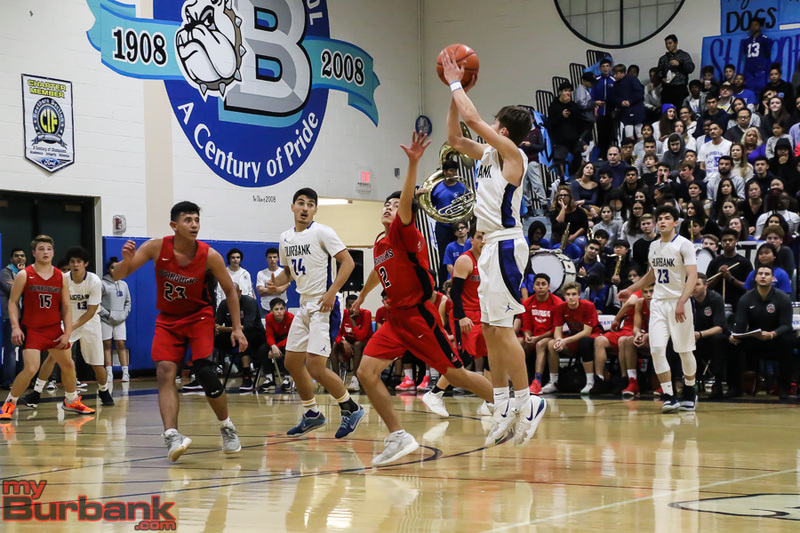 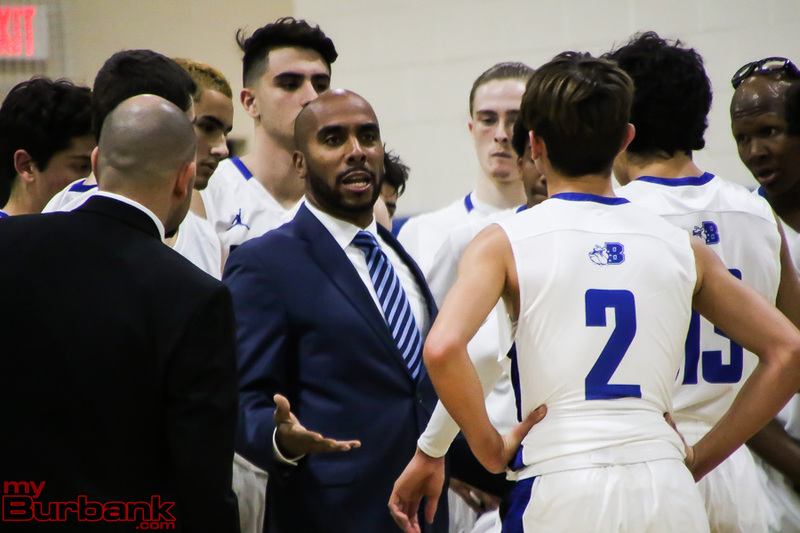 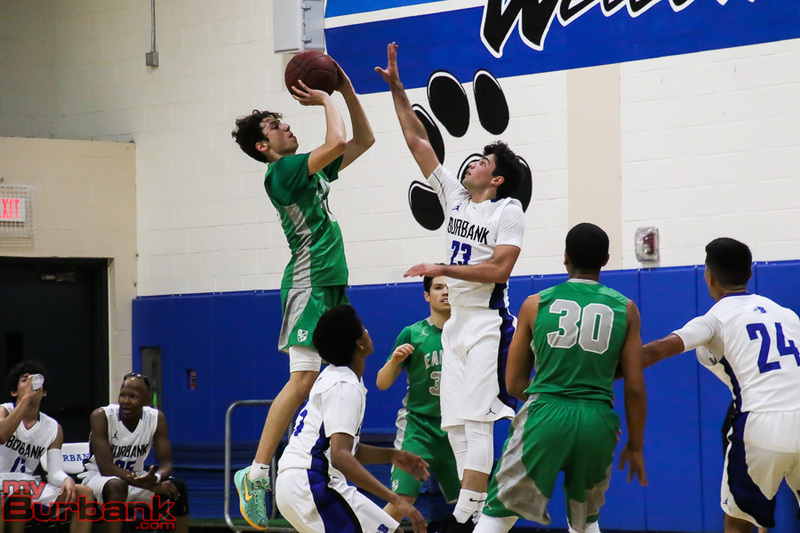 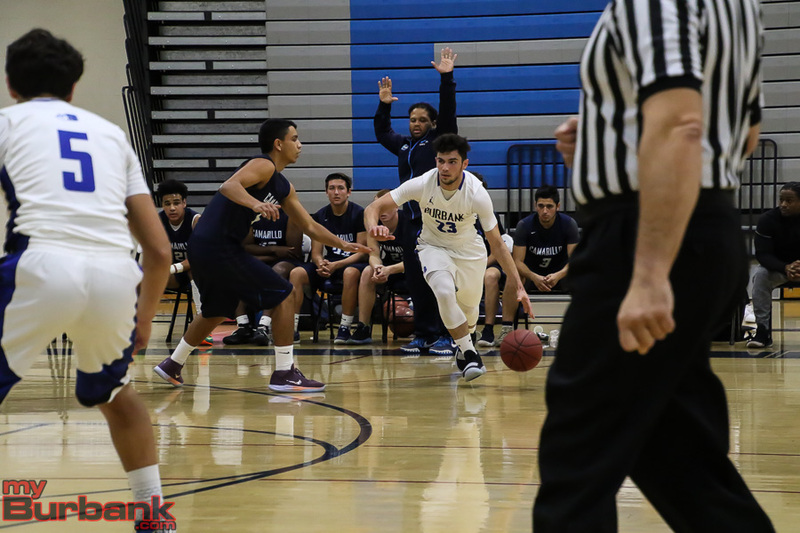 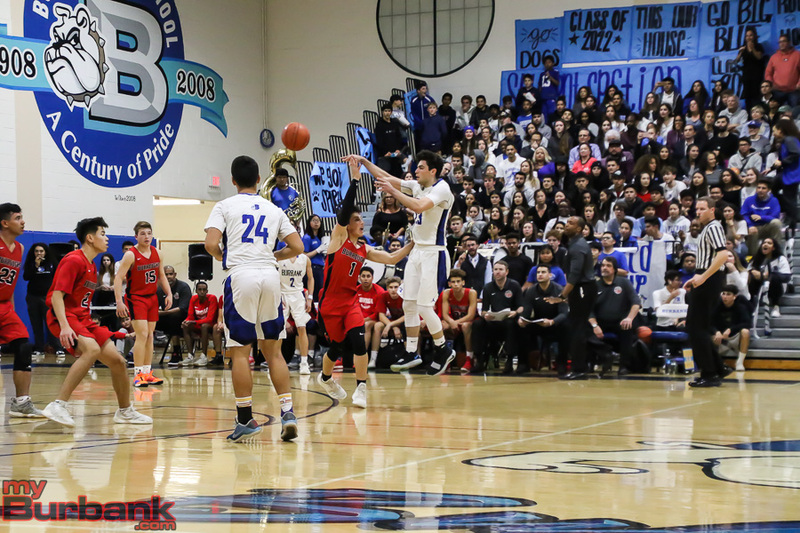 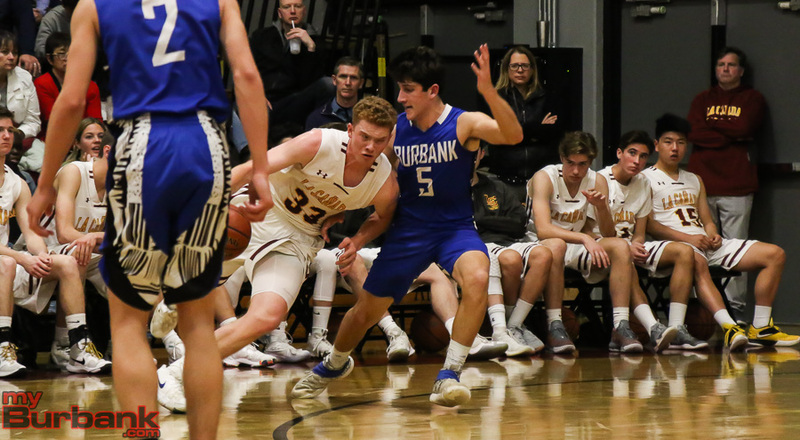 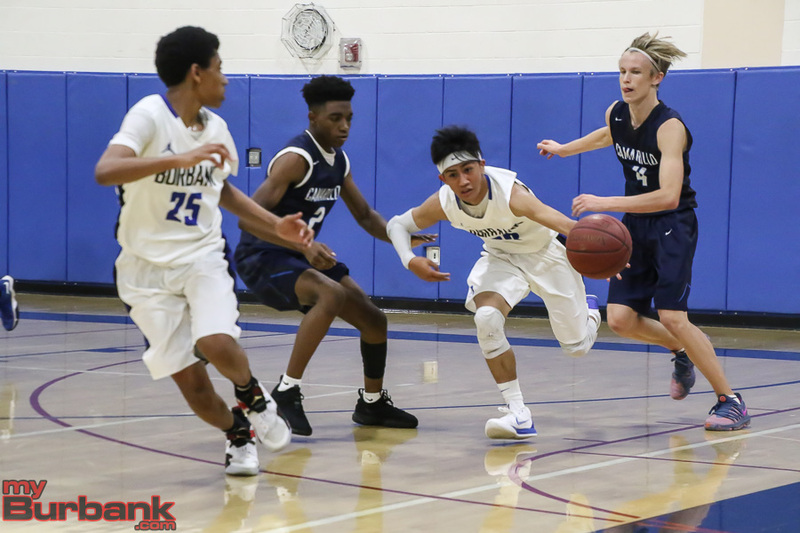 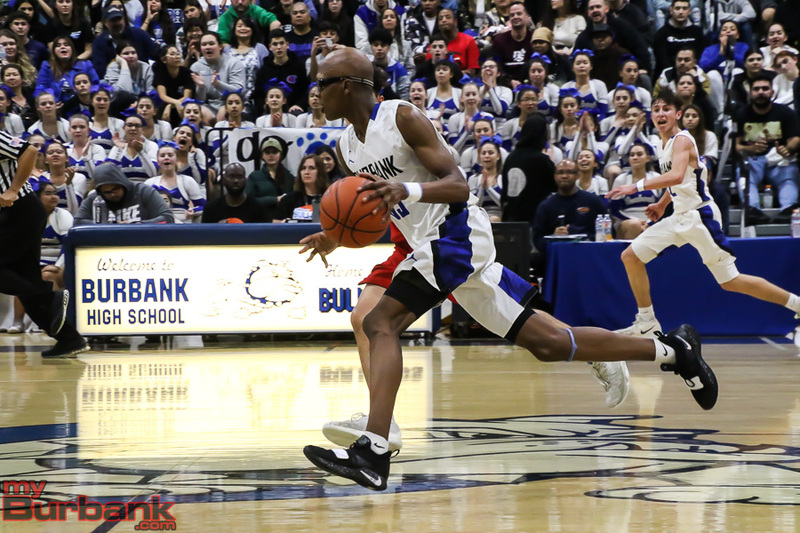 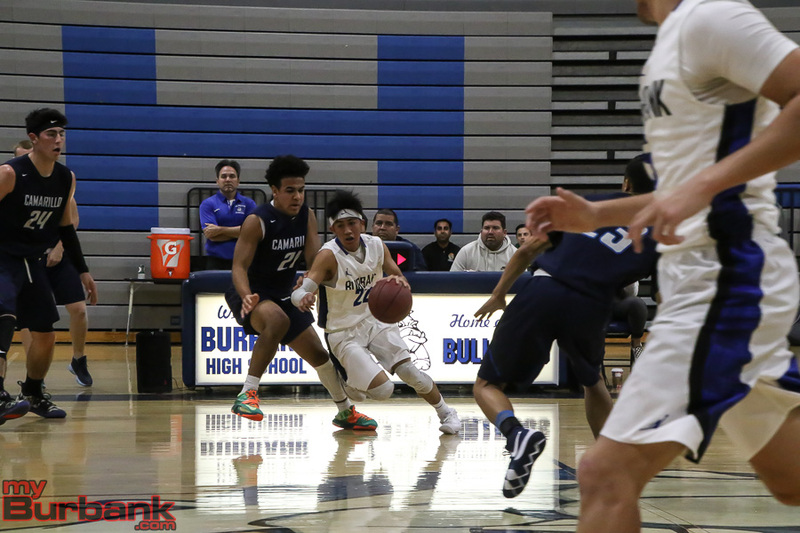 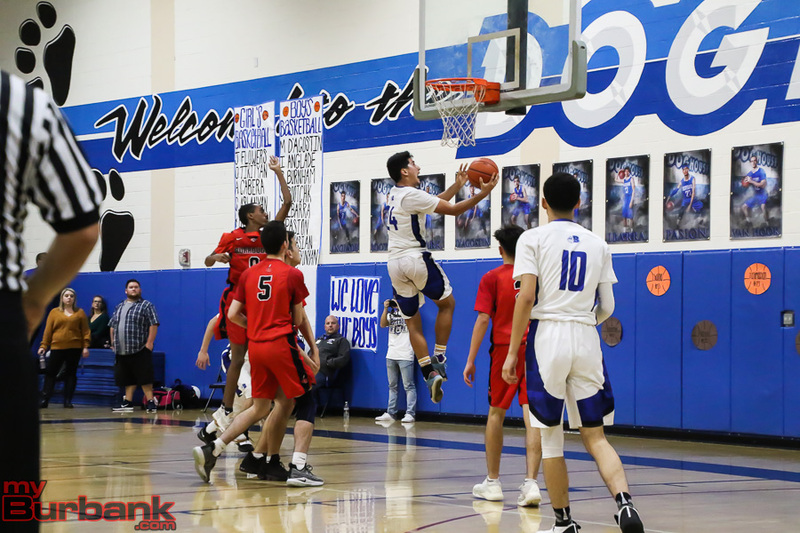 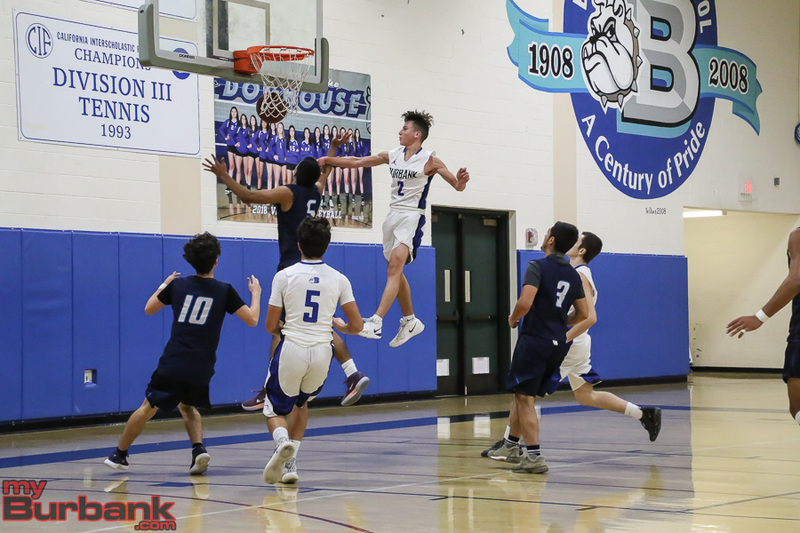 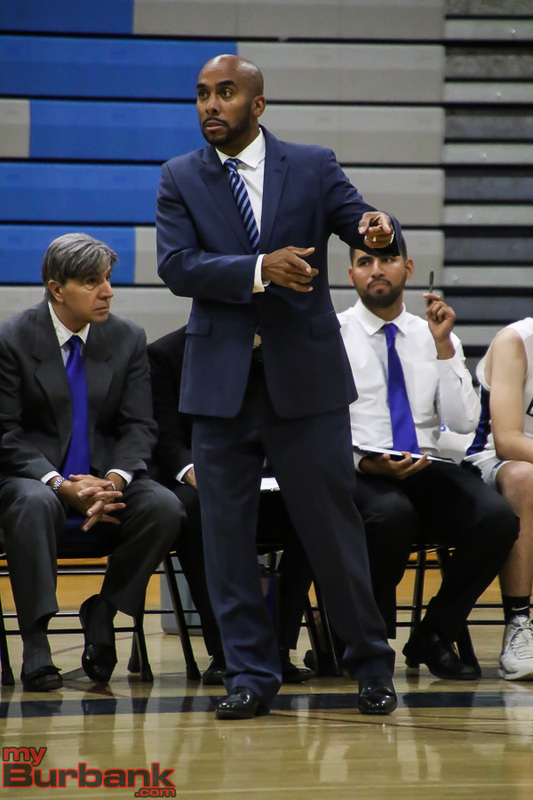 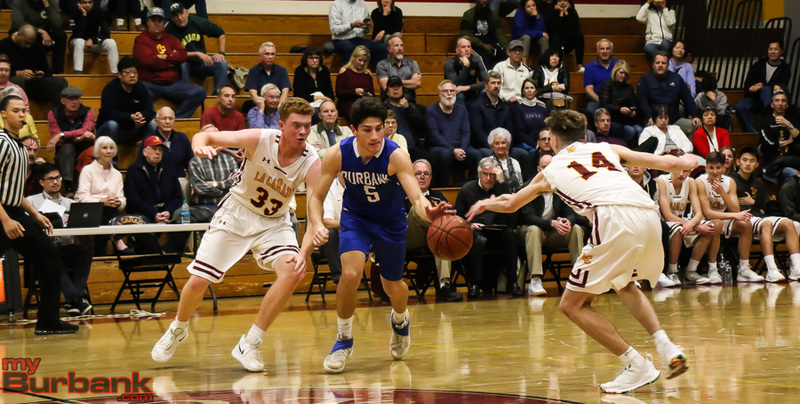 Burbank (7-3, 6-1) will now learn its fate Sunday in the CIF Southern Section playoffs. 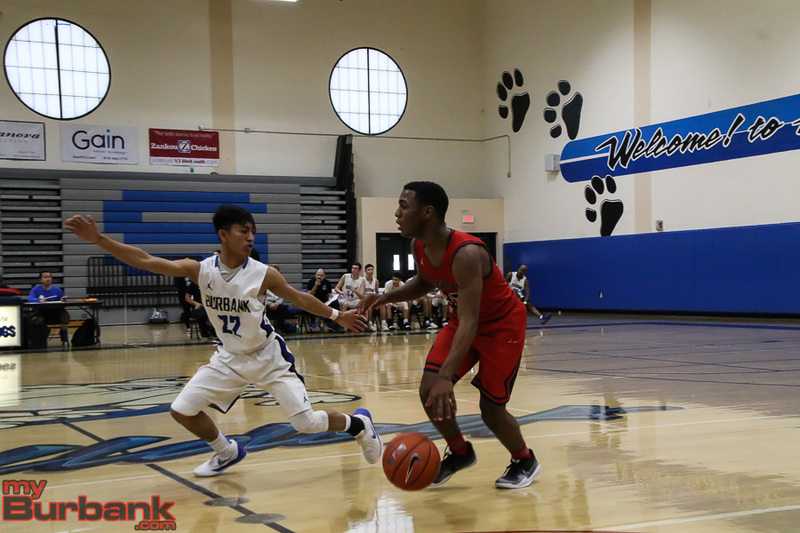 “We were working out the day of the CIF championship last year. 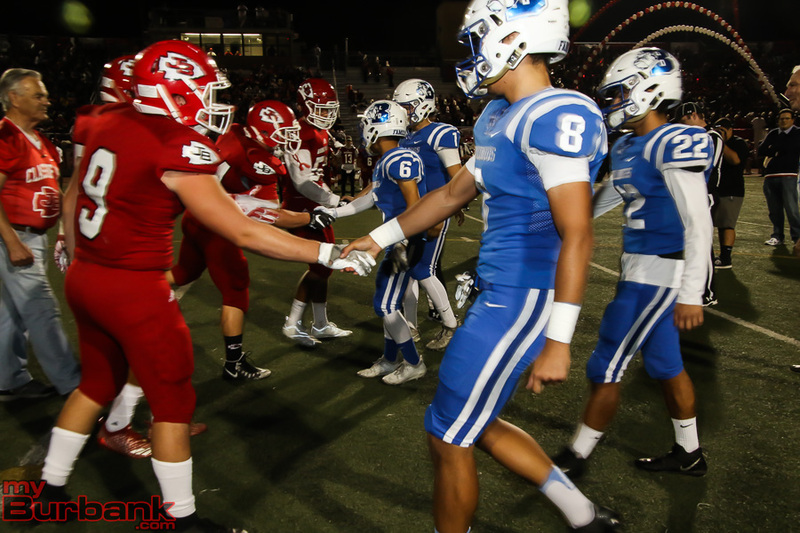 We talked about going after a ring. 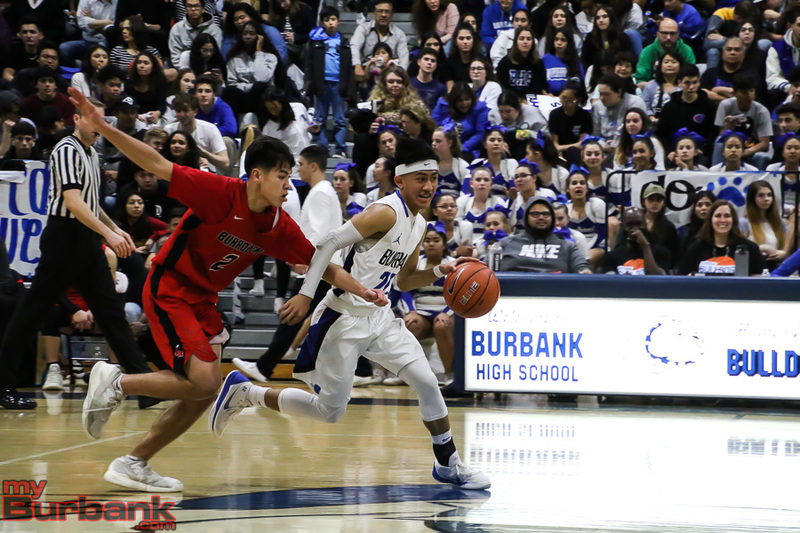 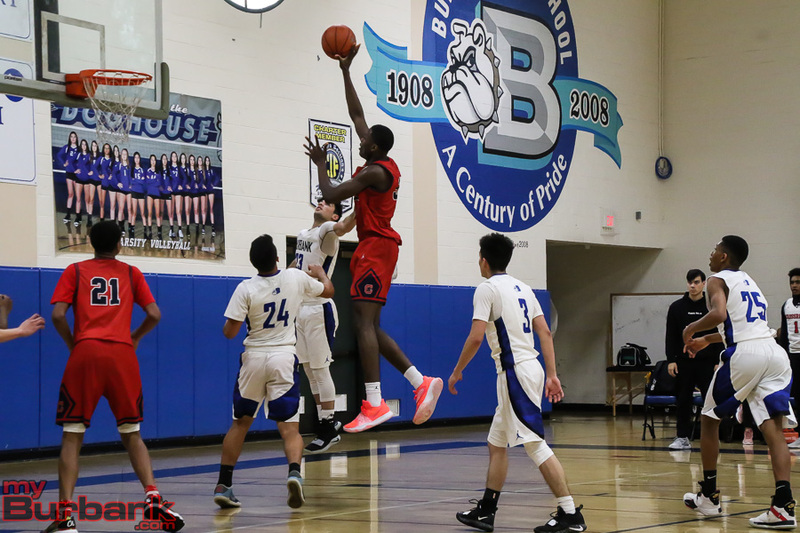 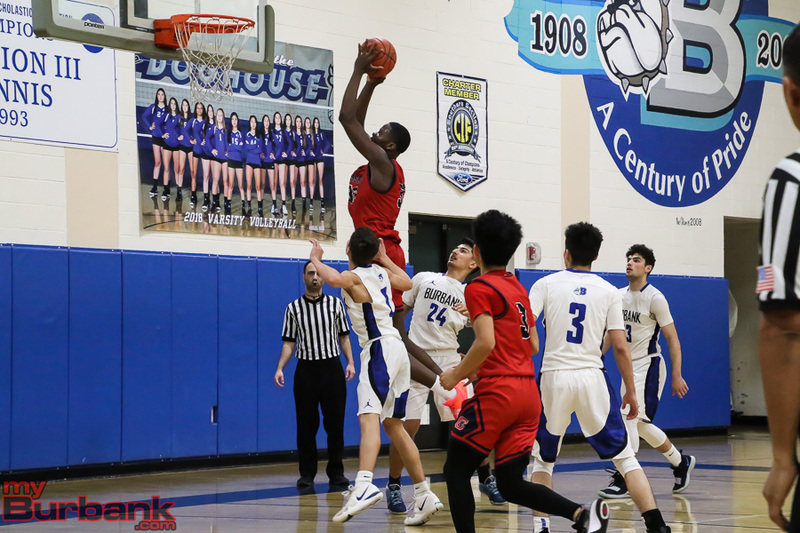 Burroughs (2-8, 2-5) came in as a heavy underdog but gave Burbank everything it had. 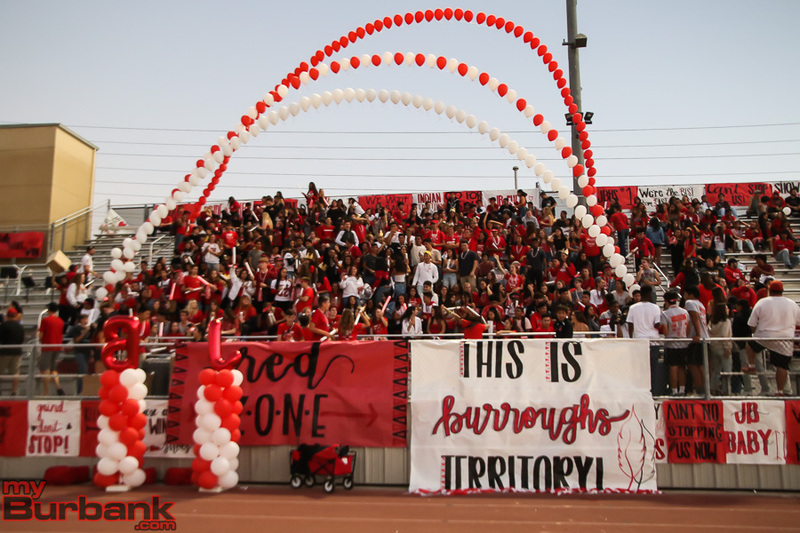 Burroughs stunned the Bulldogs when junior Aiden Forrester returned the game’s opening kickoff back 90 yards for a touchdown. 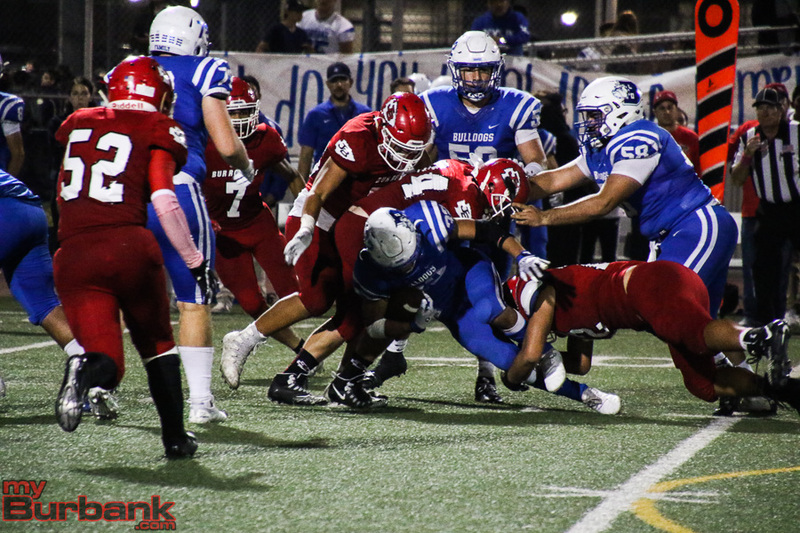 Burbank came right back and scored after just four plays from scrimmage. 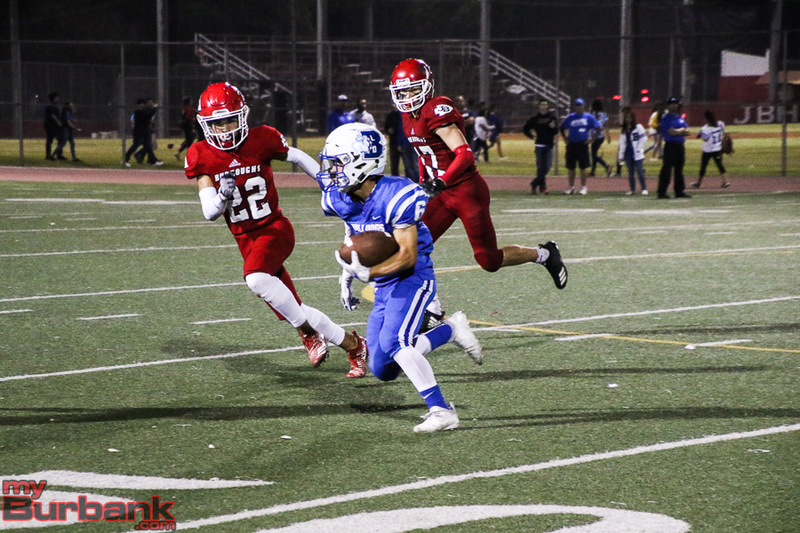 Porras hooked up with junior Isaac Glover on a 10-yard touchdown pass. 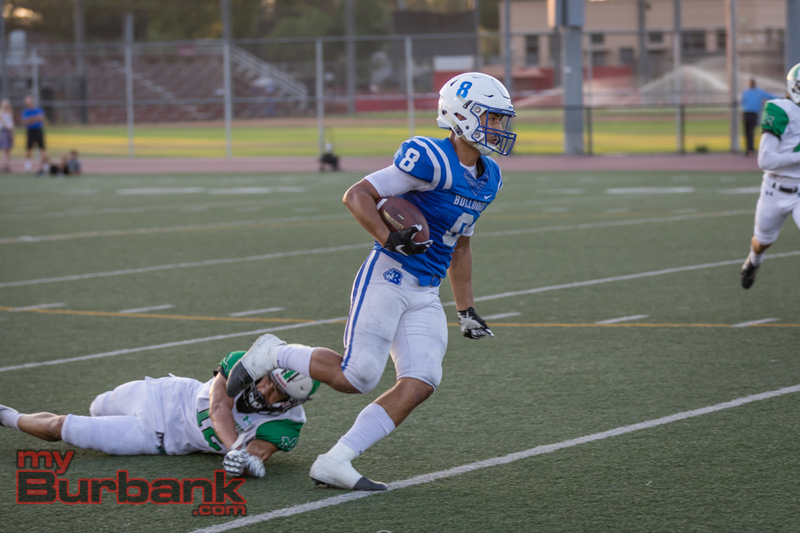 Glover also scored Burbank’s lone rushing touchdown, which came at the 10:24 mark of the fourth quarter. 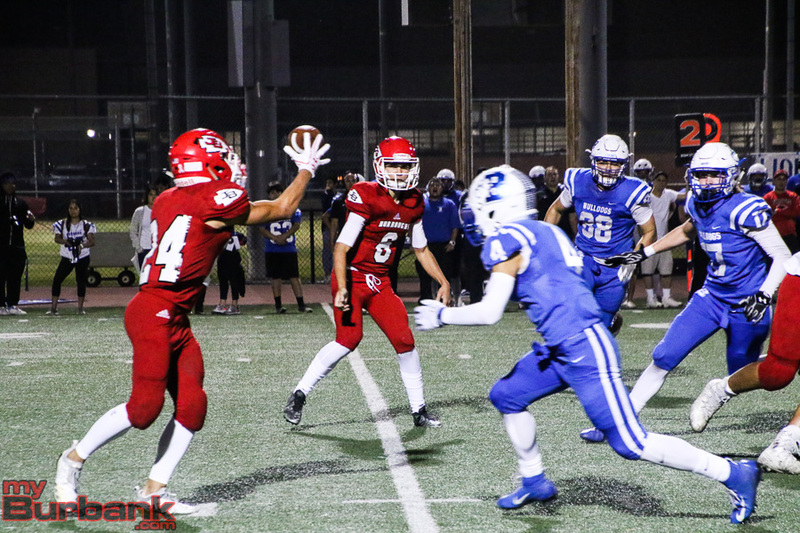 Porras ended up completing 20 of 30 passes for 305 yards with just one interception. 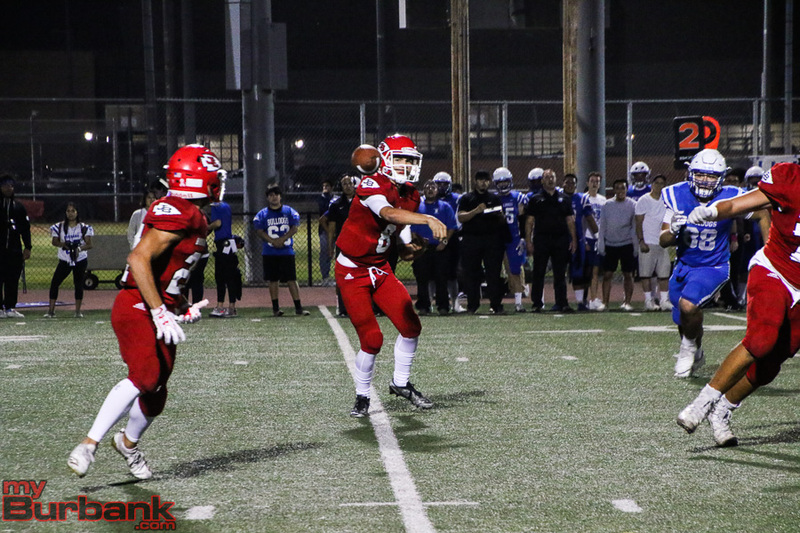 Porras and Erik Harutyunyan hooked up on a 13-yard touchdown with 3:25 left in the first quarter to make it 14-7. 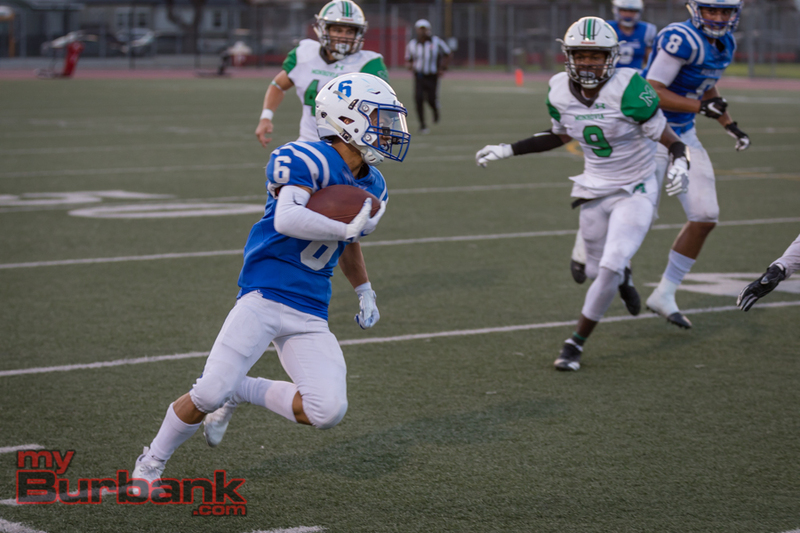 Harutyunyan finished with eight catches for 173 yards and two touchdowns. 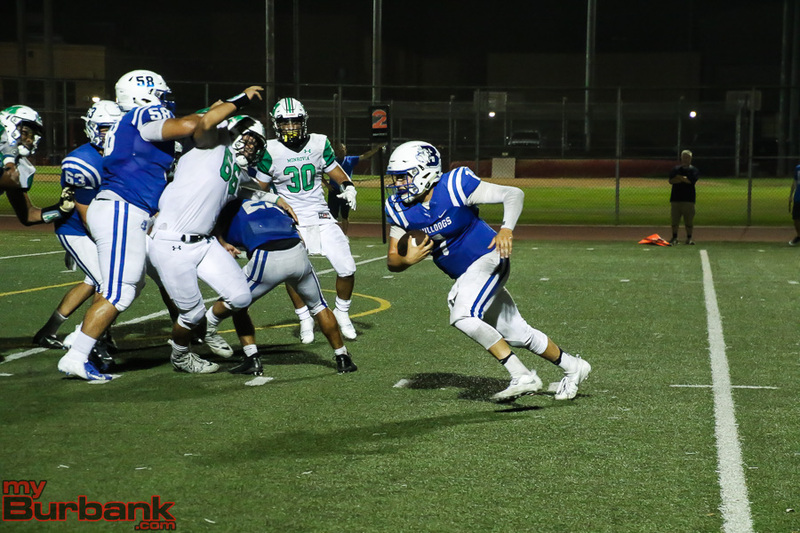 Porras and junior Ben Burnham hooked up on a 16-yard touchdown with 34 seconds left in the first quarter. 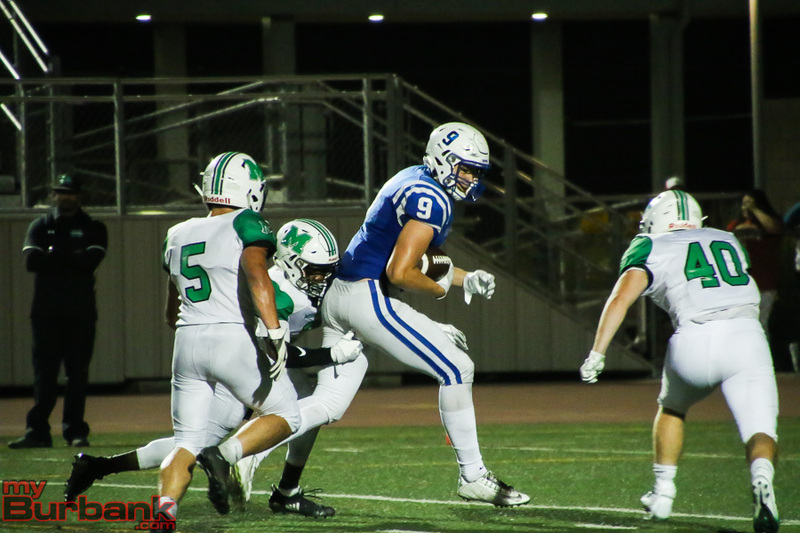 It was the first of two touchdowns he would score. 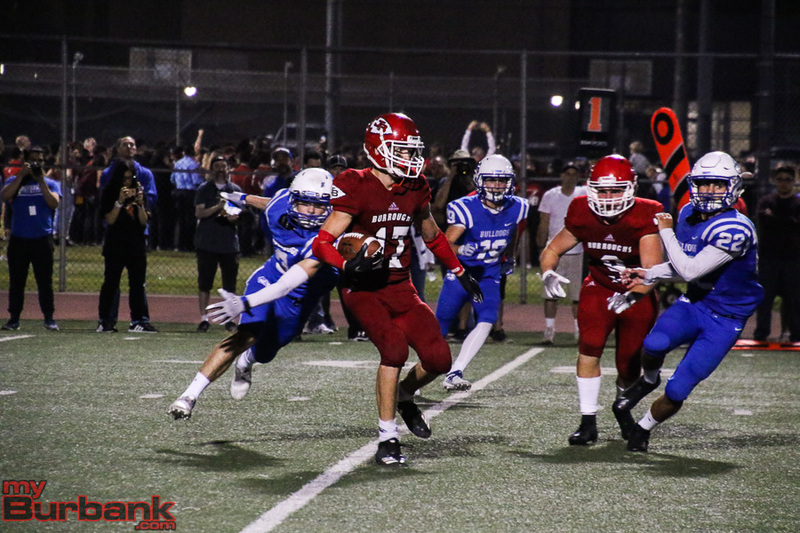 Burbank, which also received a pair of touchdowns from tight end Duncan Smith, led 27-13 at halftime. 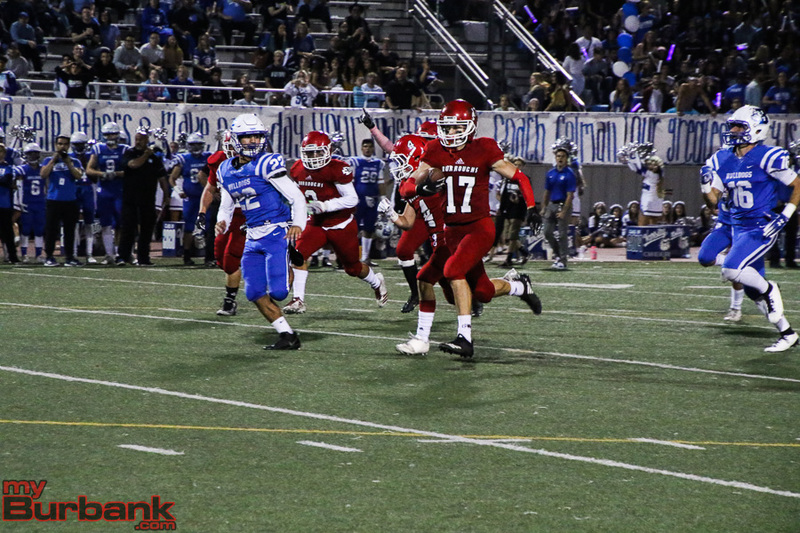 Burroughs quarterback Nathan Piper hooked up with Nick Garcia on a 9-yard touchdown with 3:22 left in the first half. 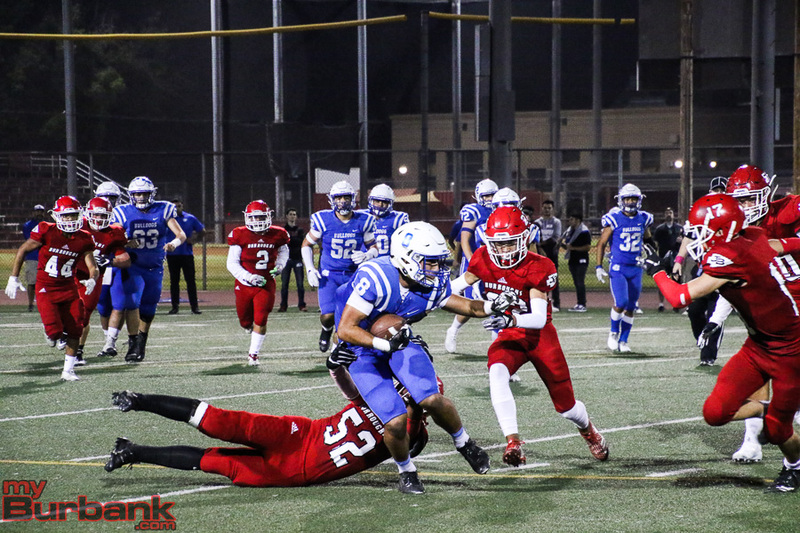 The took would hook up later on a 31-yard touchdown in the third quarter. 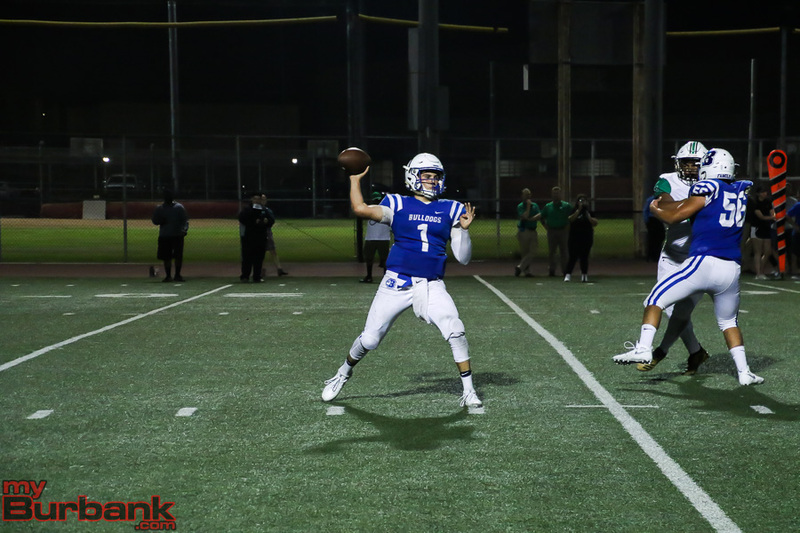 Porras broke the single-game touchdown pass record when he hooked up with Burnham with 1:58 left to play. 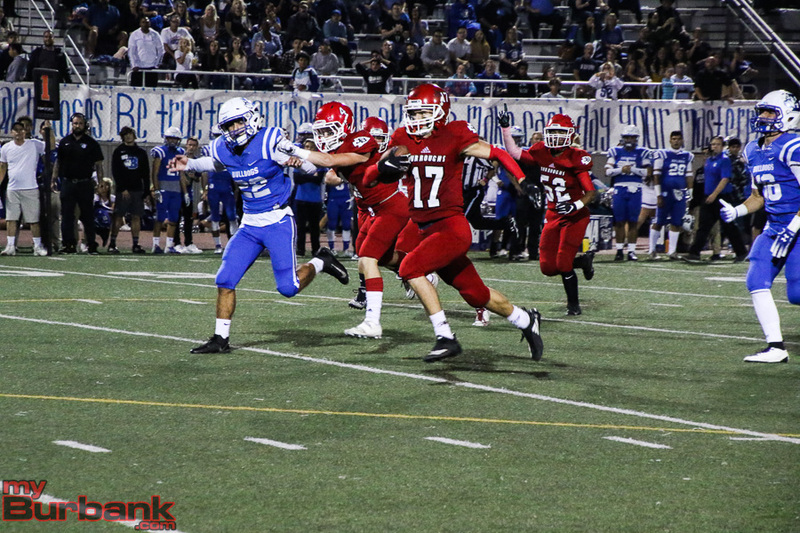 Burroughs’ Andrew English had seven receptions for 69 yards. 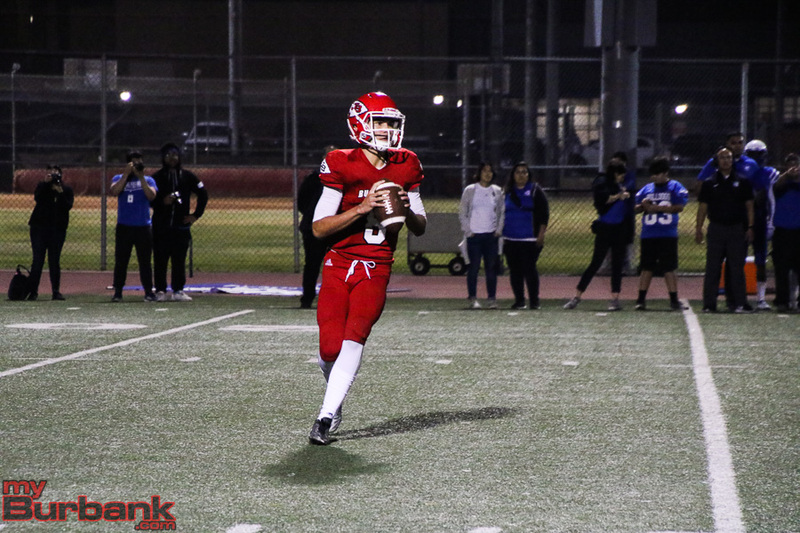 Piper completed 15 of 30 passes for 171 yards in the final game of his career. 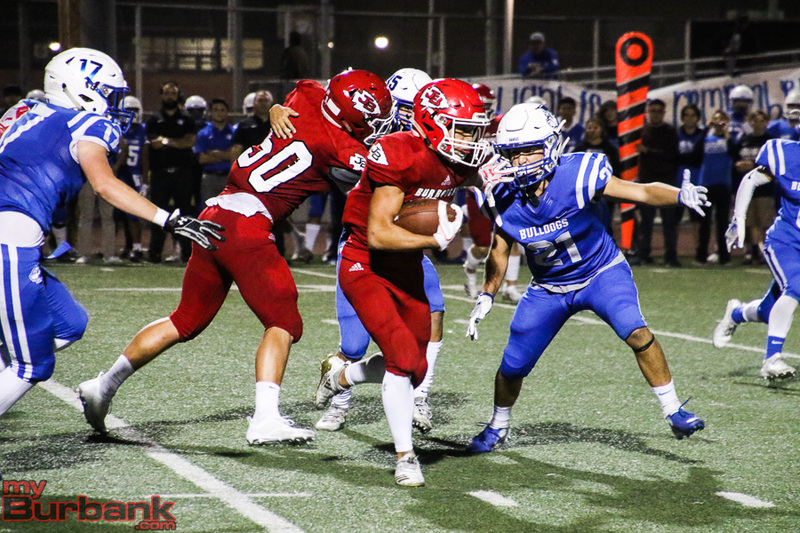 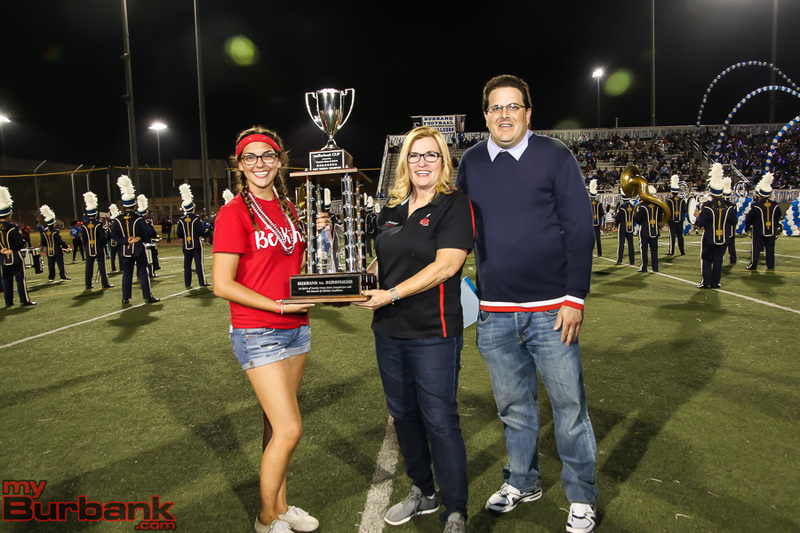 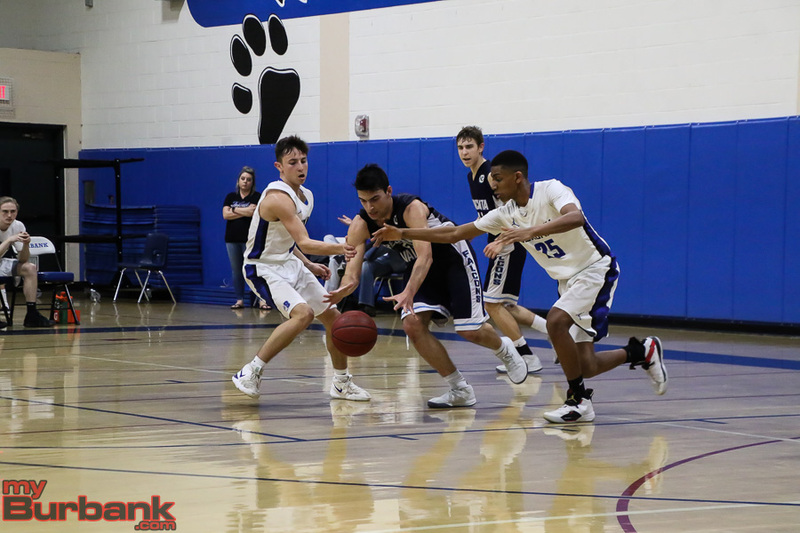 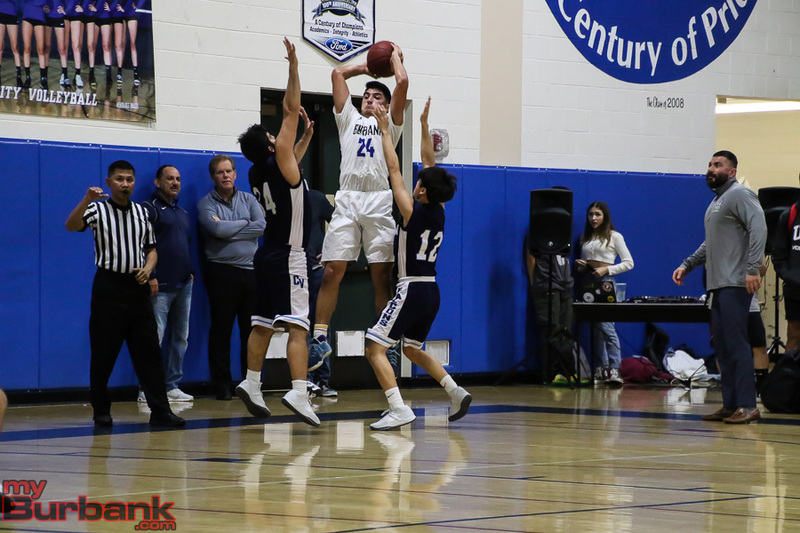 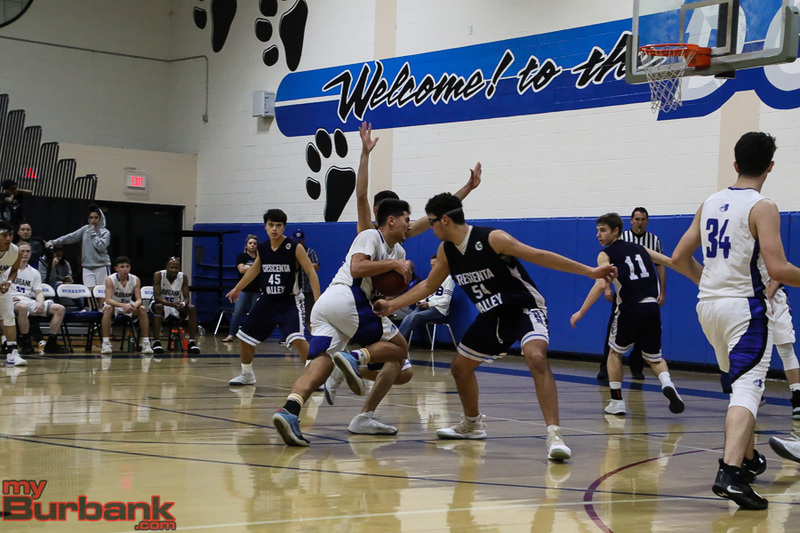 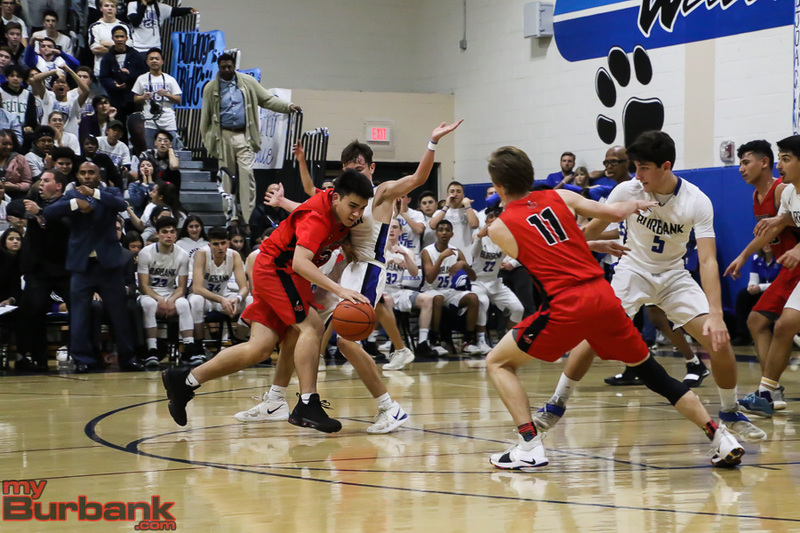 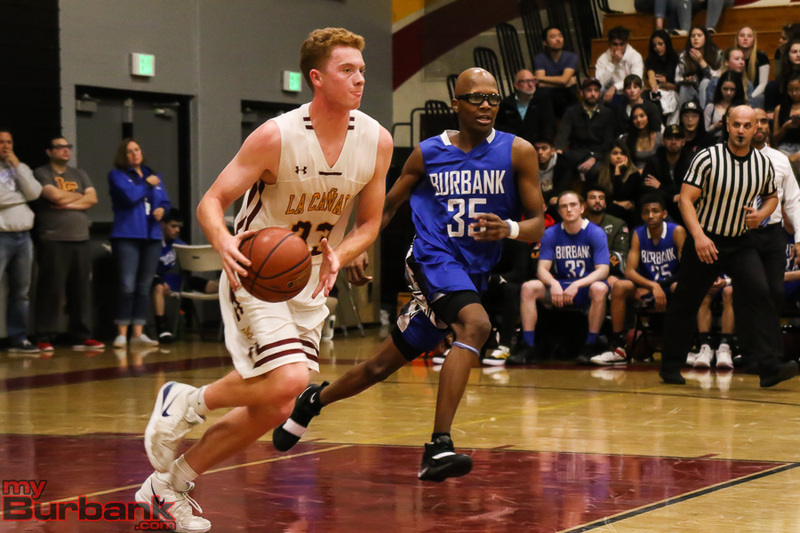 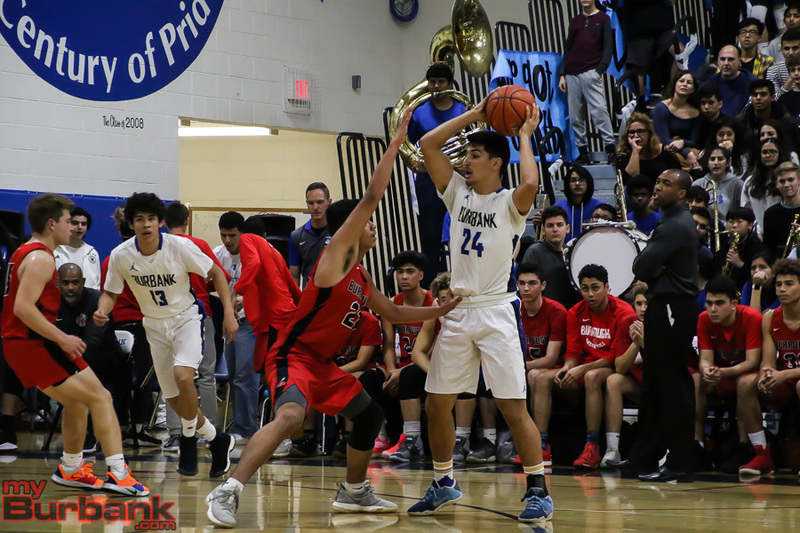 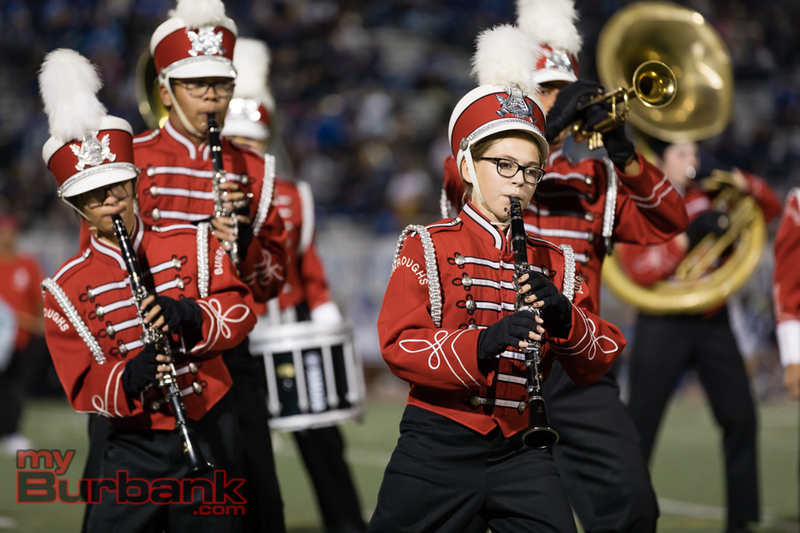 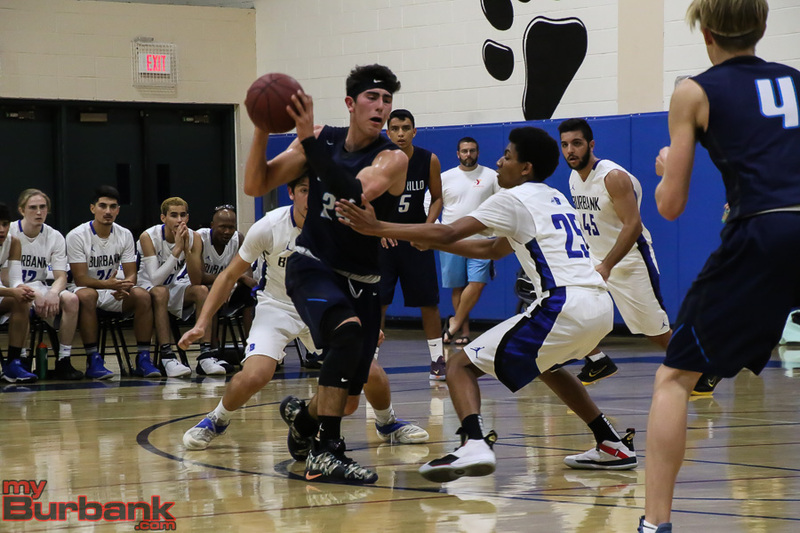 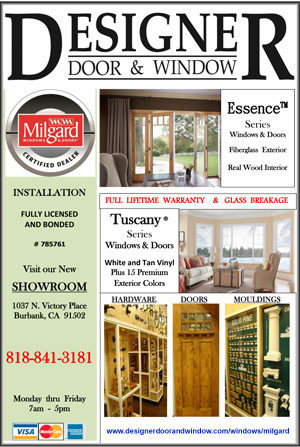 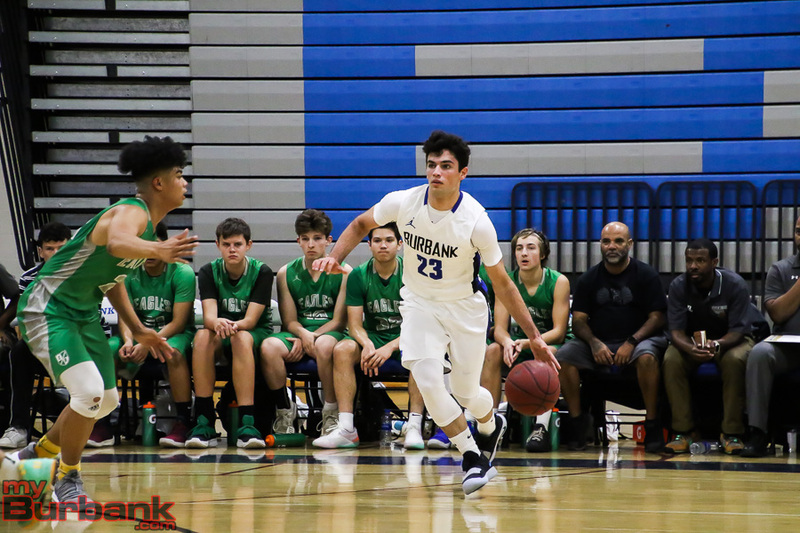 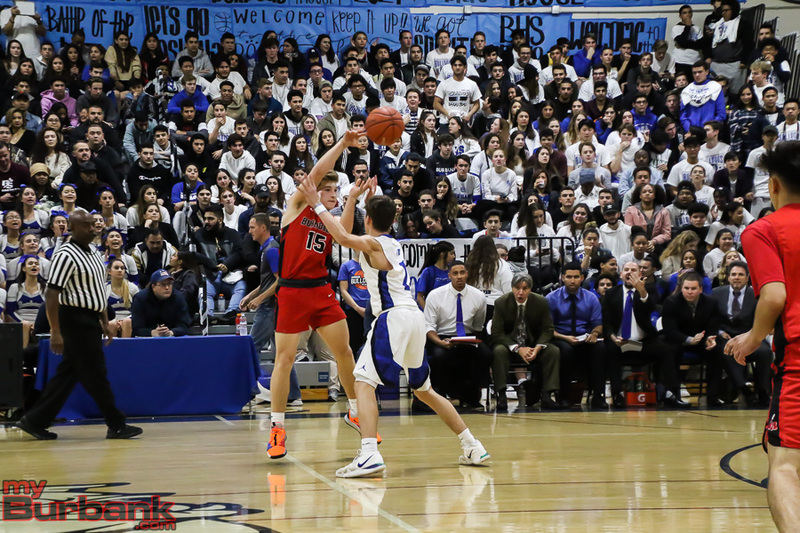 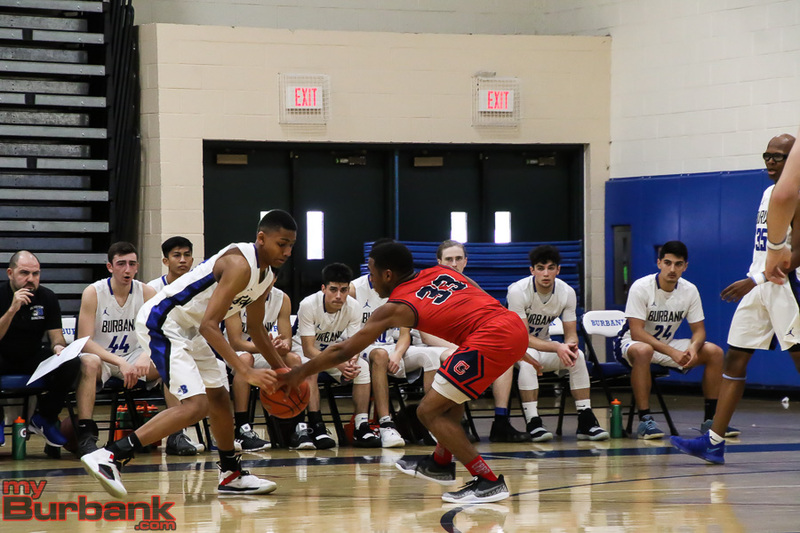 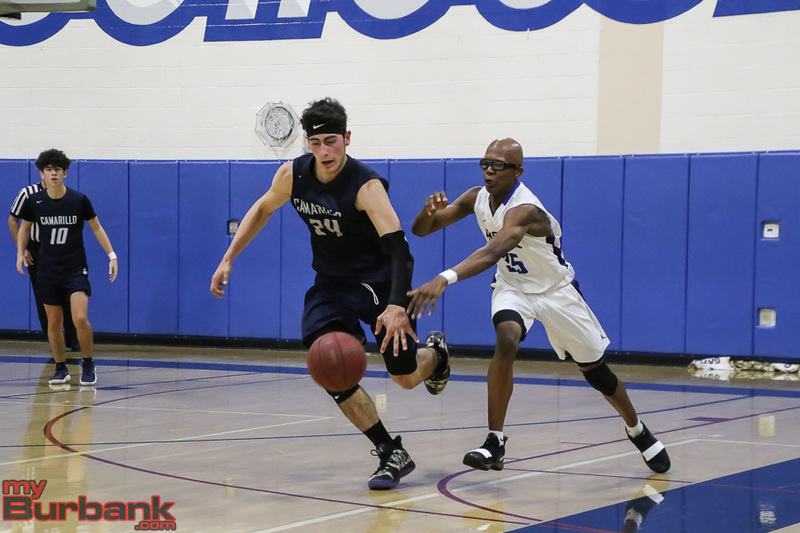 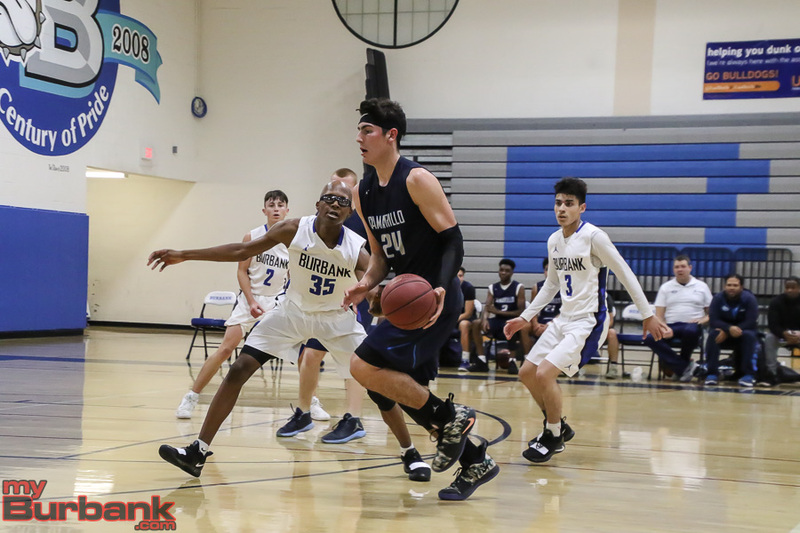 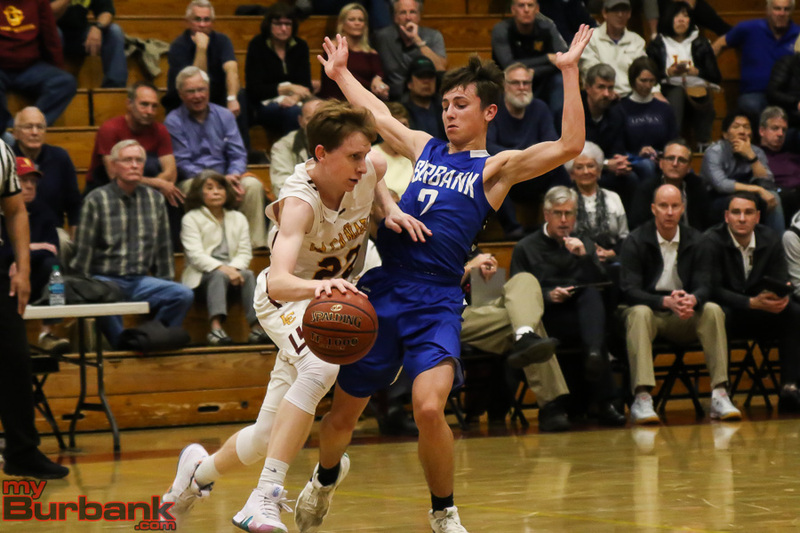 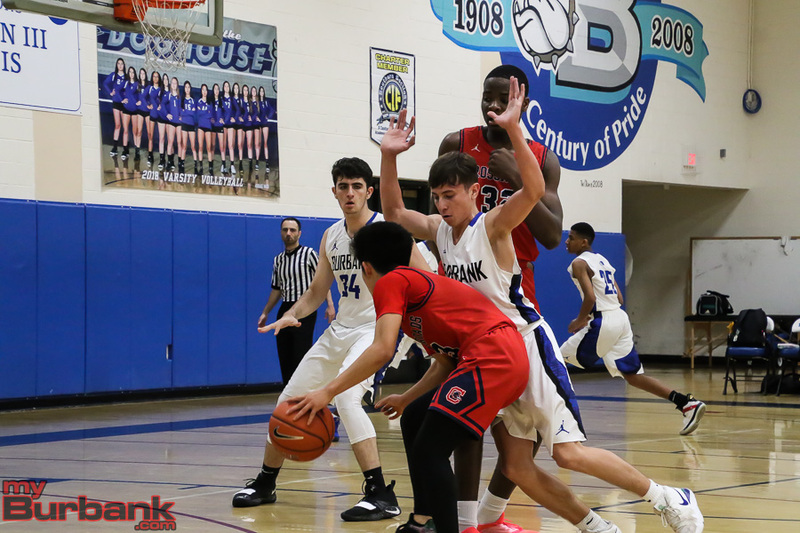 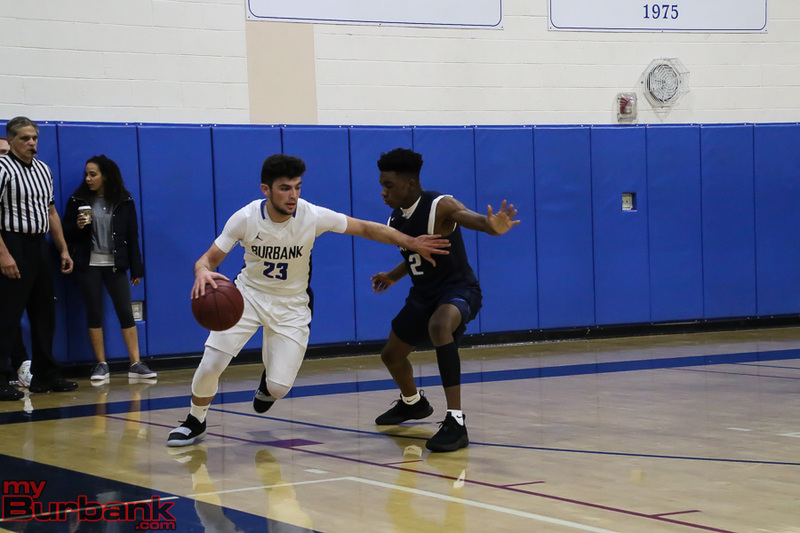 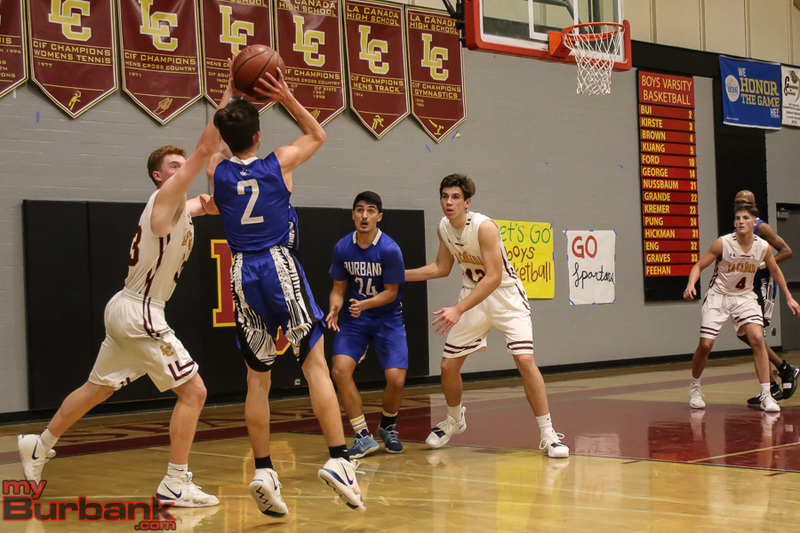 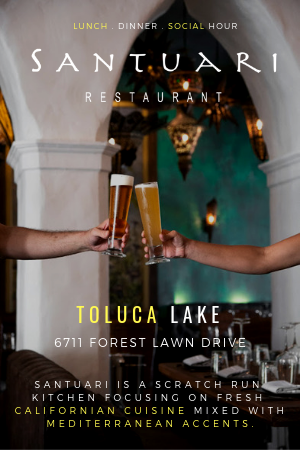 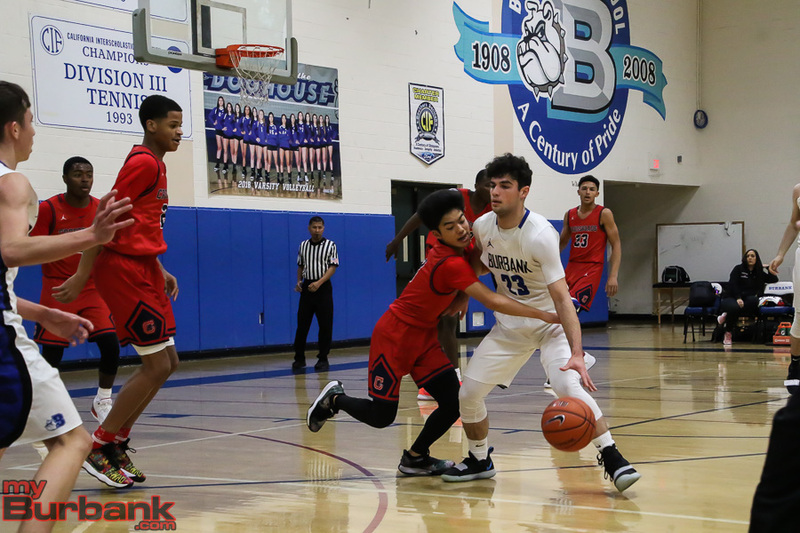 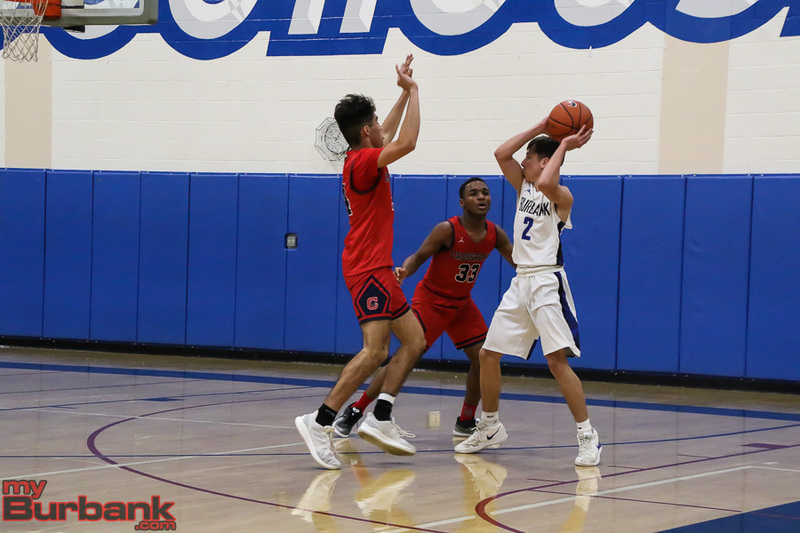 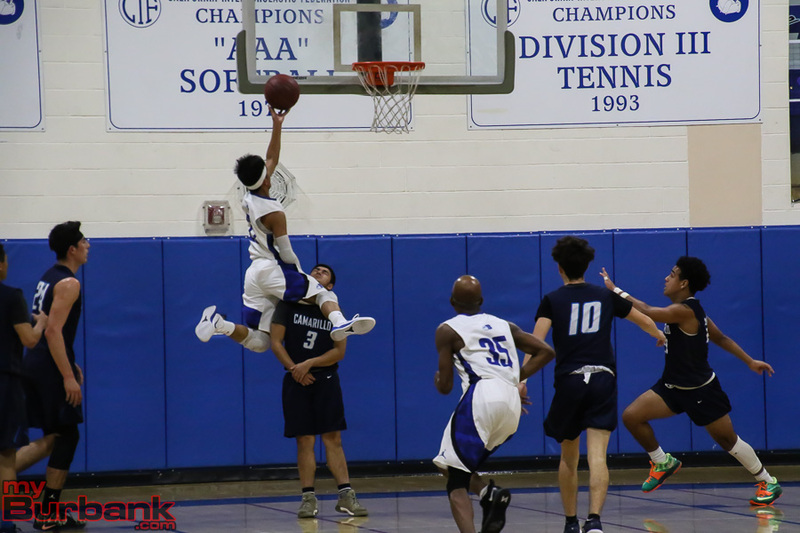 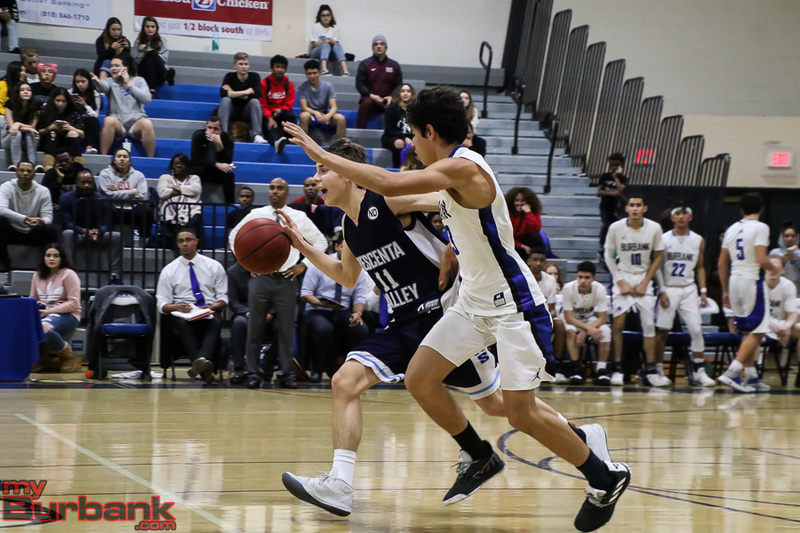 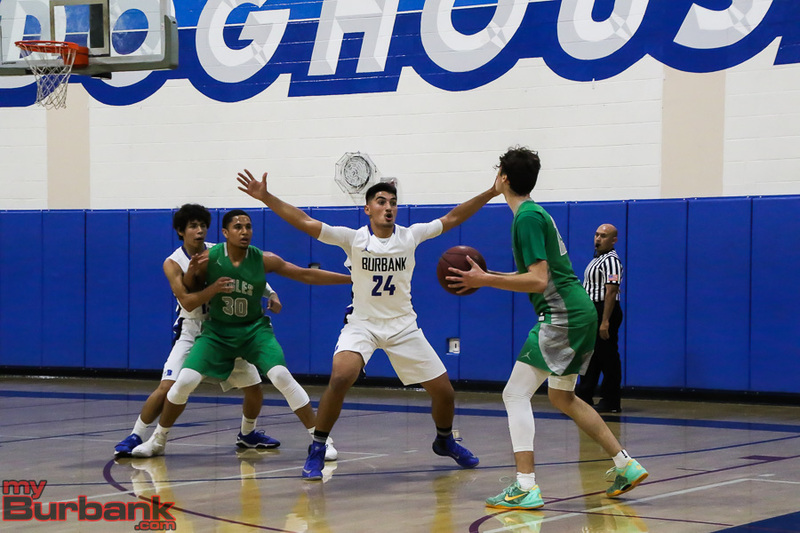 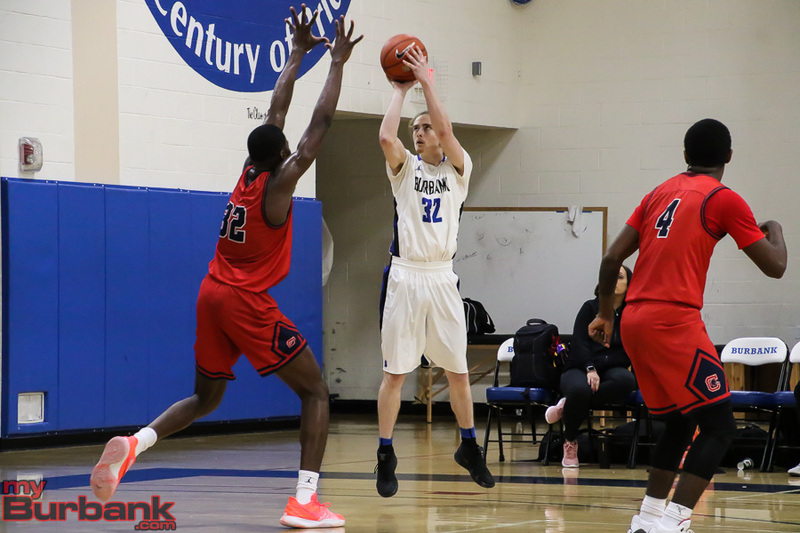 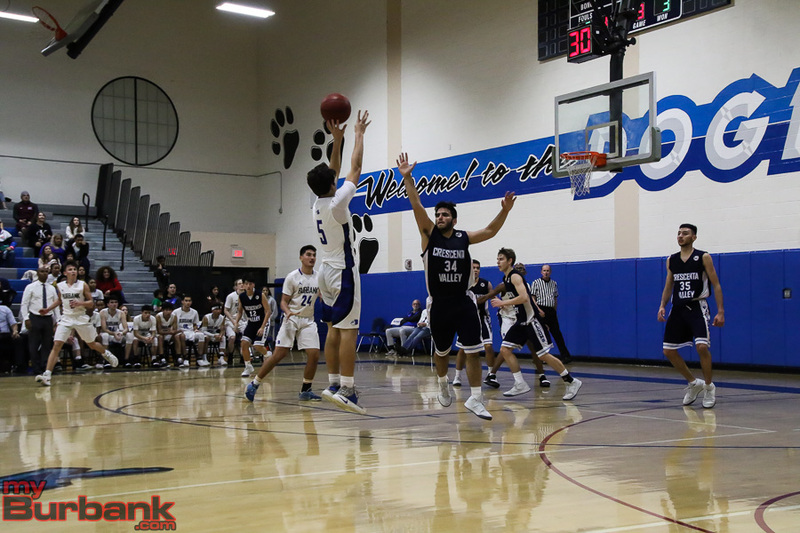 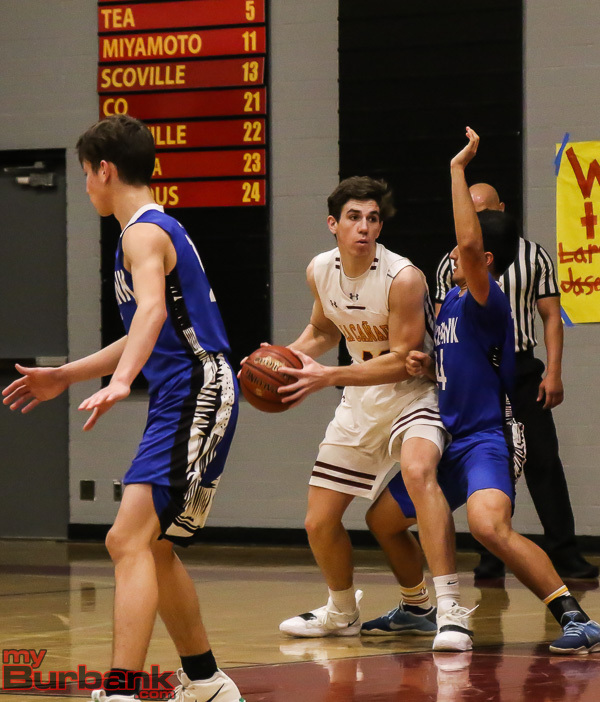 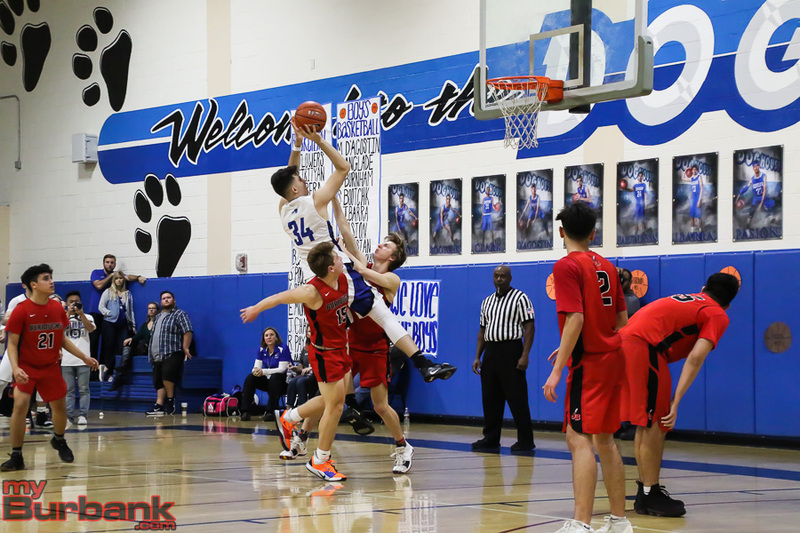 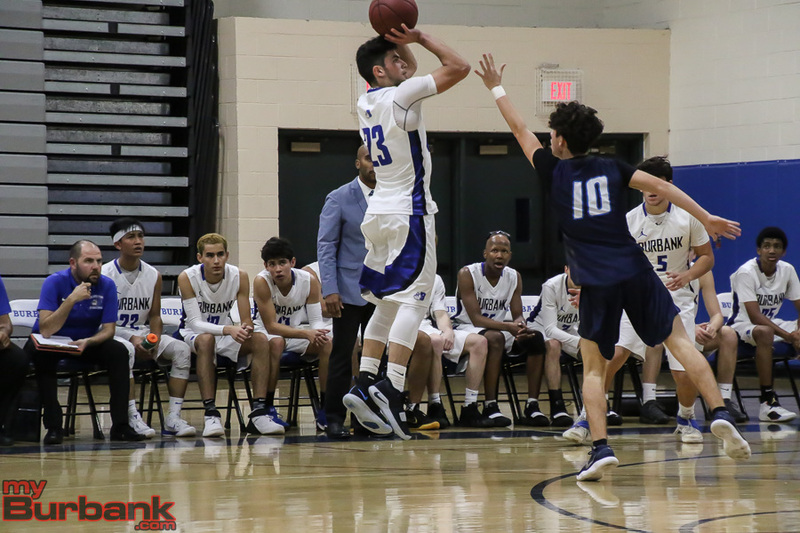 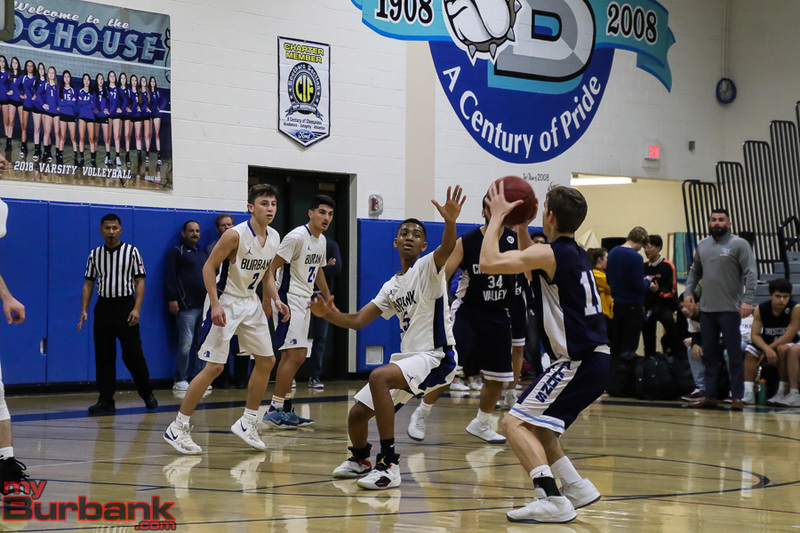 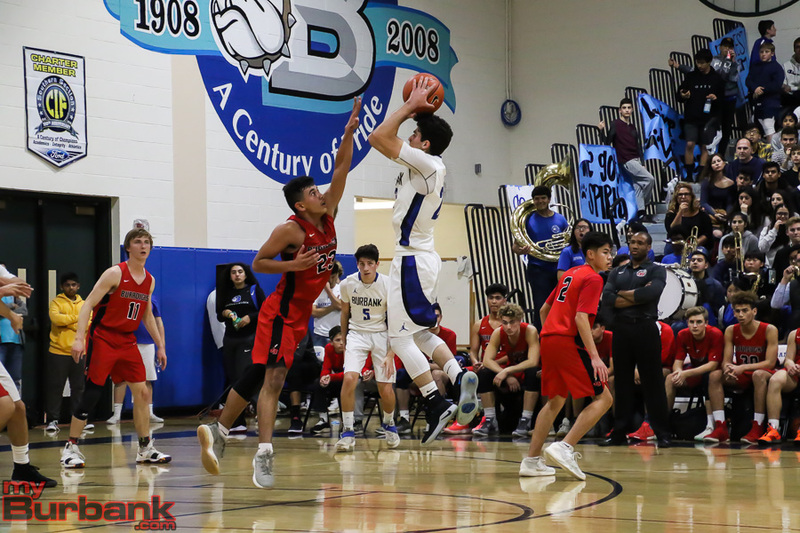 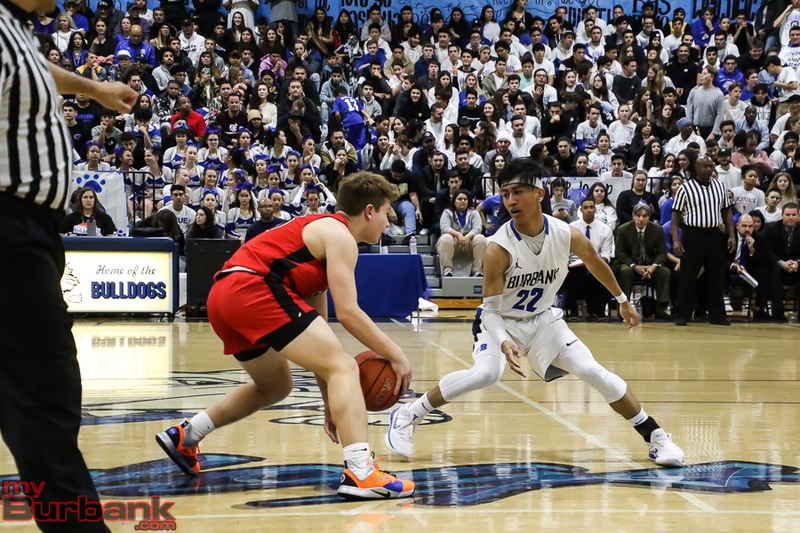 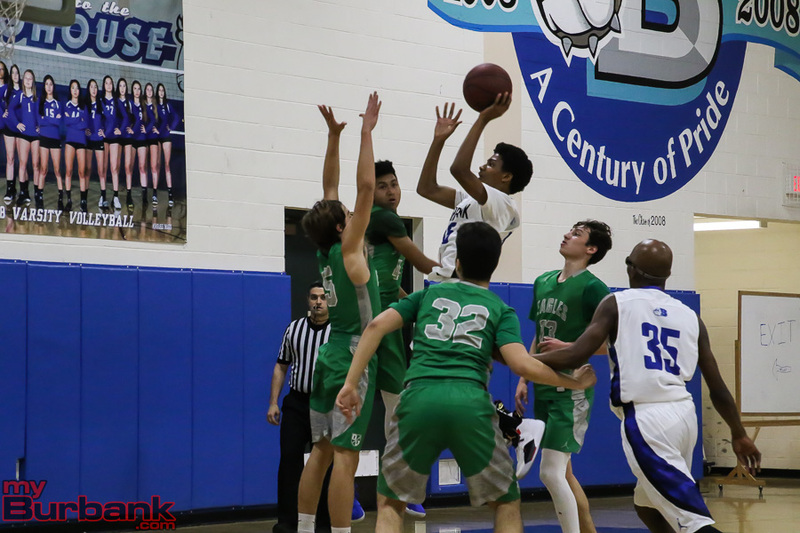 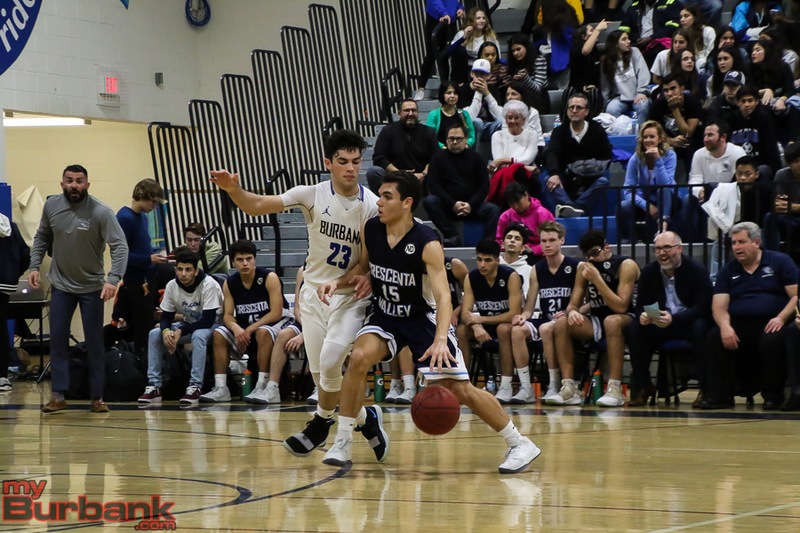 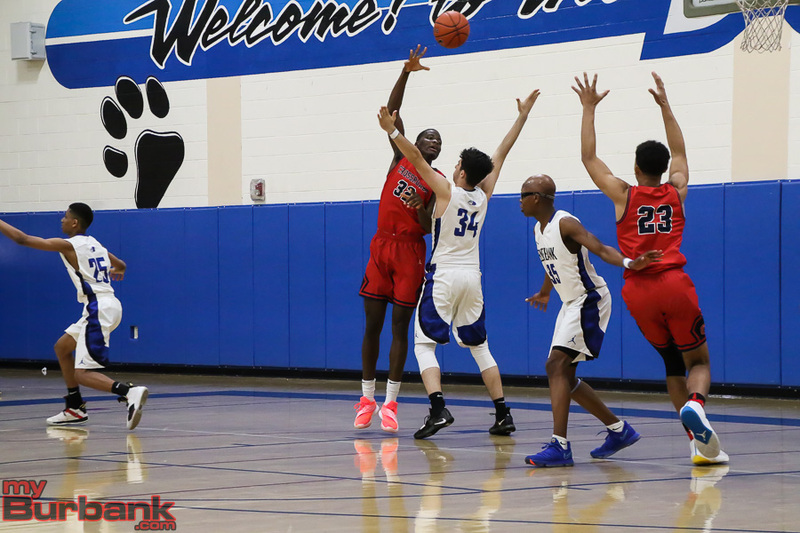 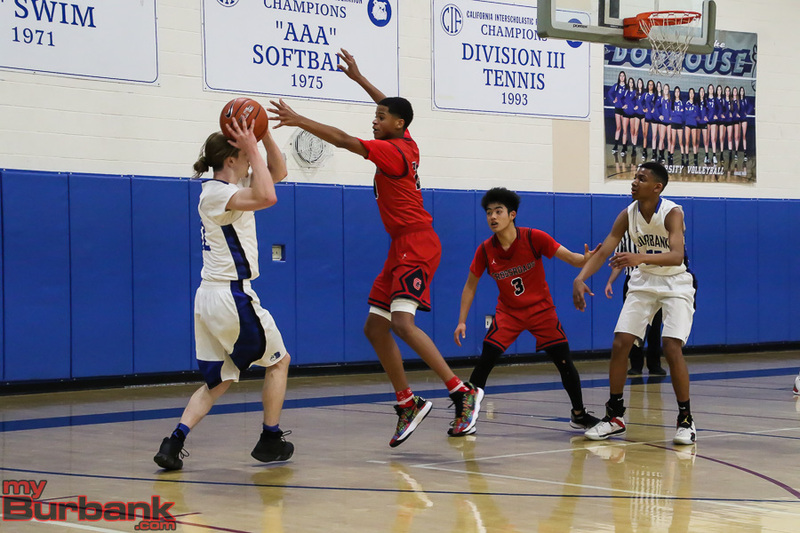 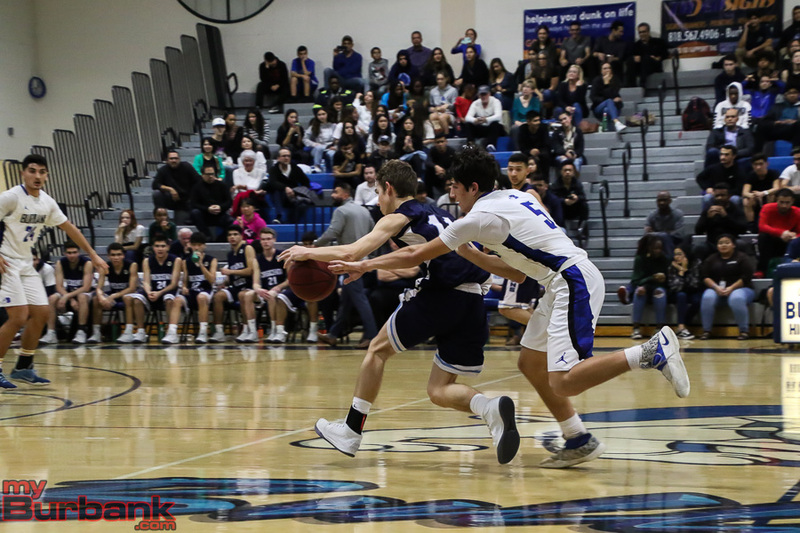 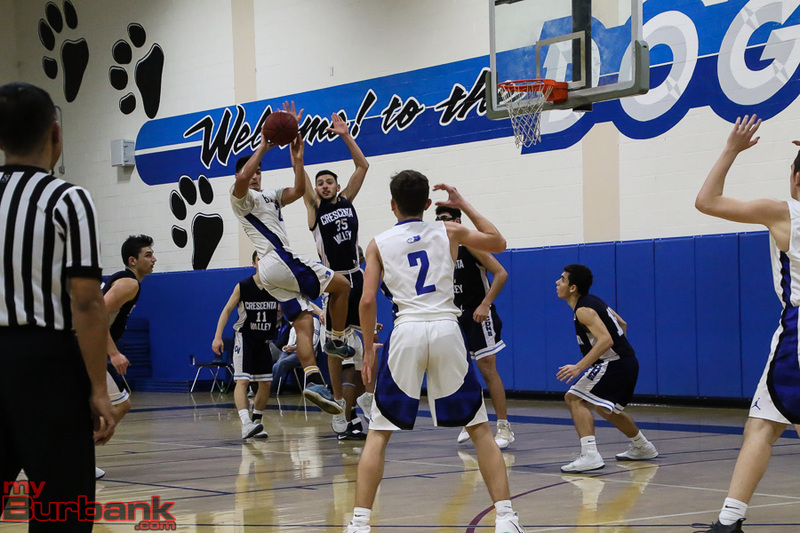 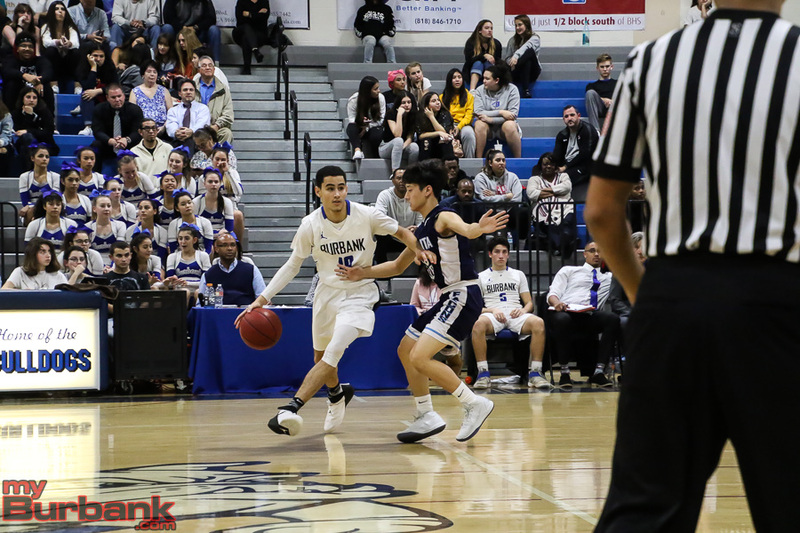 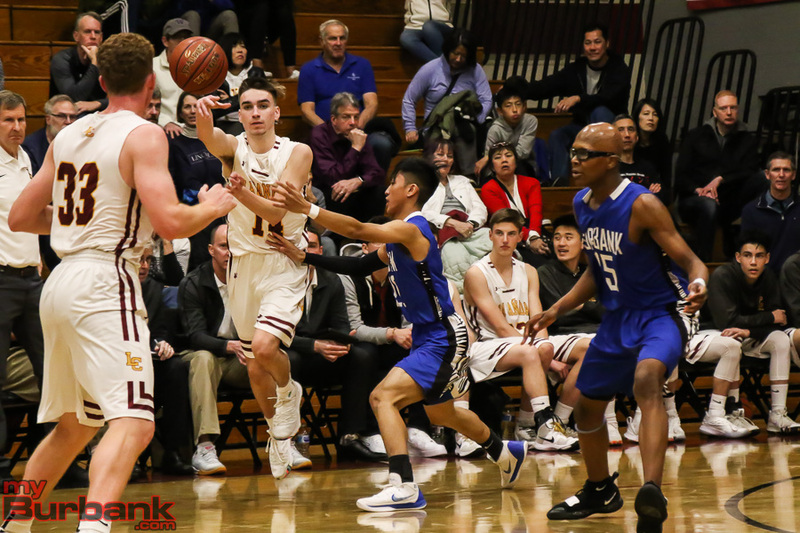 This entry was posted in Big Game, Big Game, Football, Sports and tagged Andrew English, Ben Burnham, Burbank Football, Burroughs Football, Duncan Smith, Erik Harutyunyan, Issac Glover, Matthew Porras, Nathan Piper, Nick Garcia on October 27, 2018 by Jim Riggio. 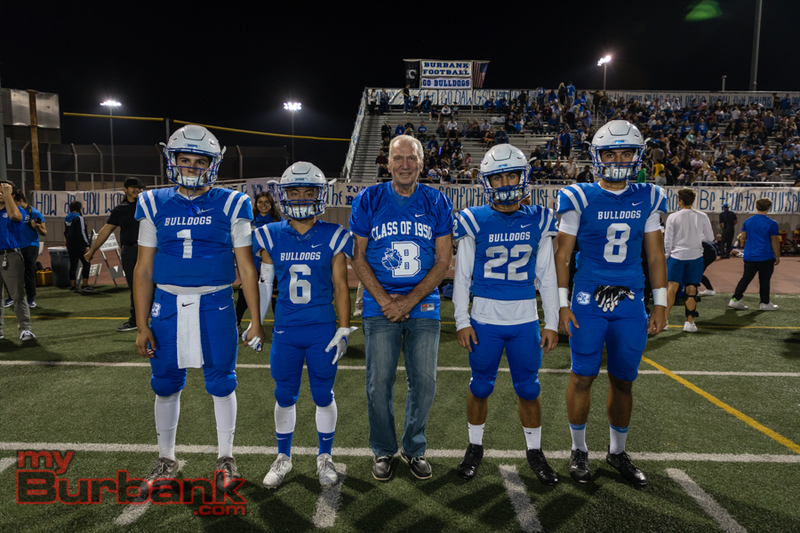 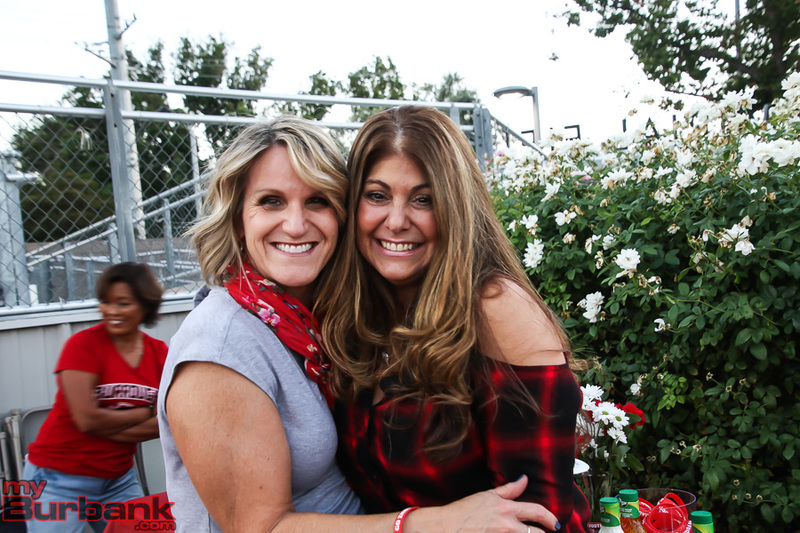 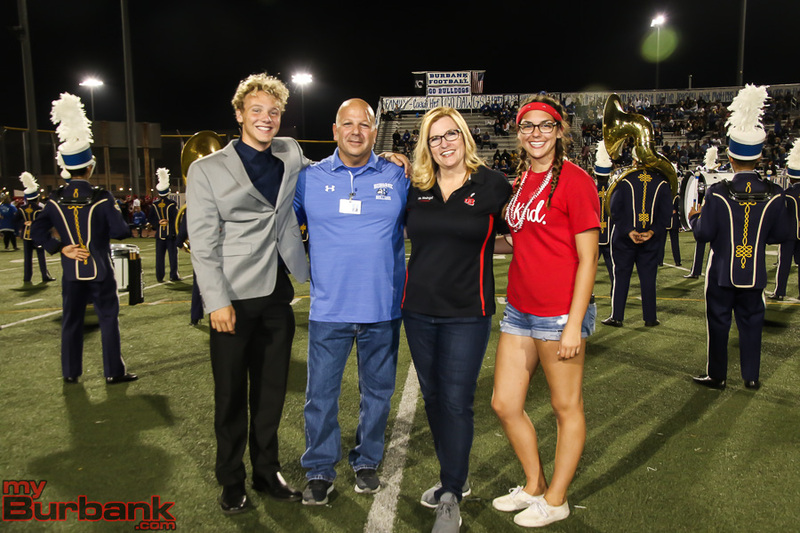 No Burbank High football team in its long and proud history has played a game in the middle of August, but on Friday night at Memorial Field, that’s exactly what took place. 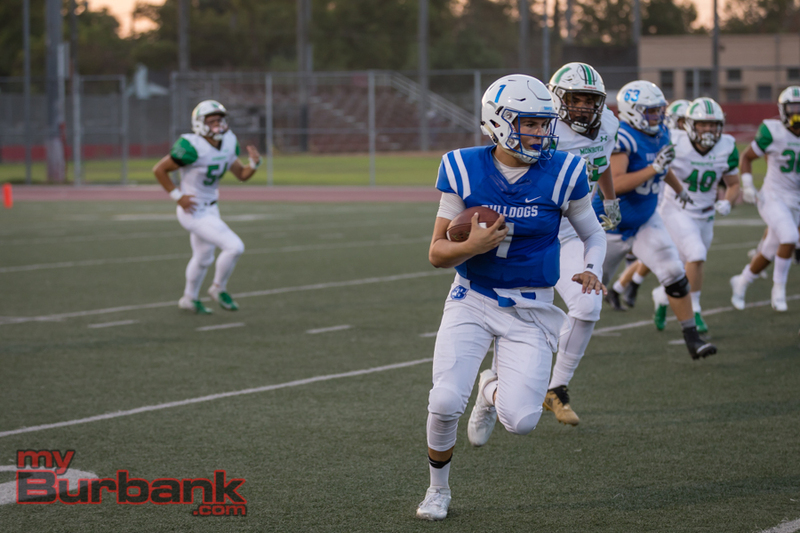 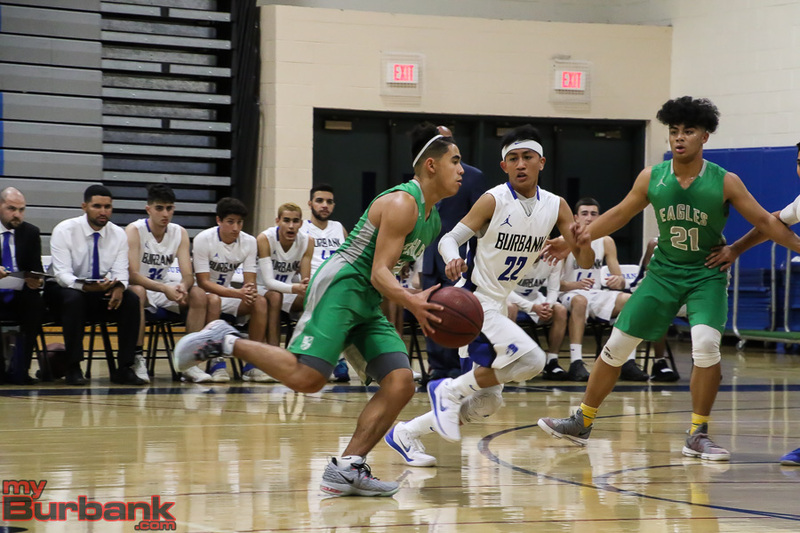 The Bulldogs, who won the Pacific League title and reached the CIF Southern Section Division VII semifinals in 2017 and the Division VIII championship game the year before, opened up the new campaign on a high note by taking out Monrovia 45-12 in a nonleague match. 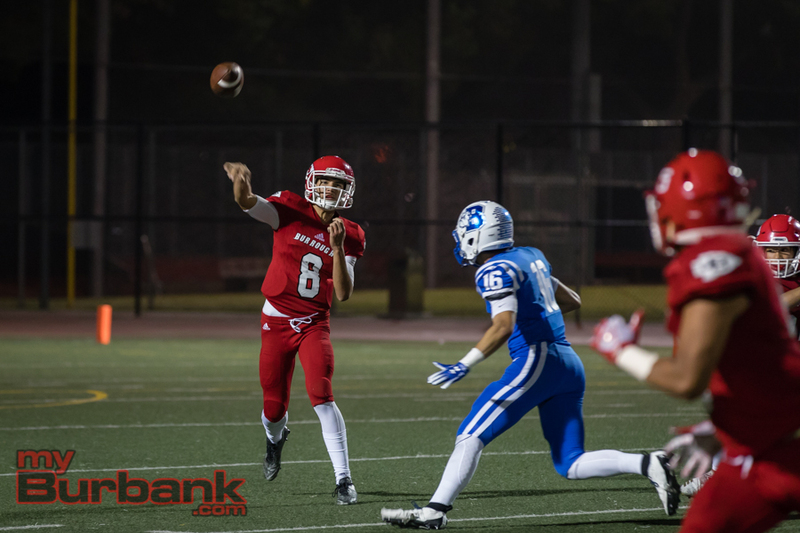 Burbank senior quarterback Matthew Porras was nothing short of spectacular. 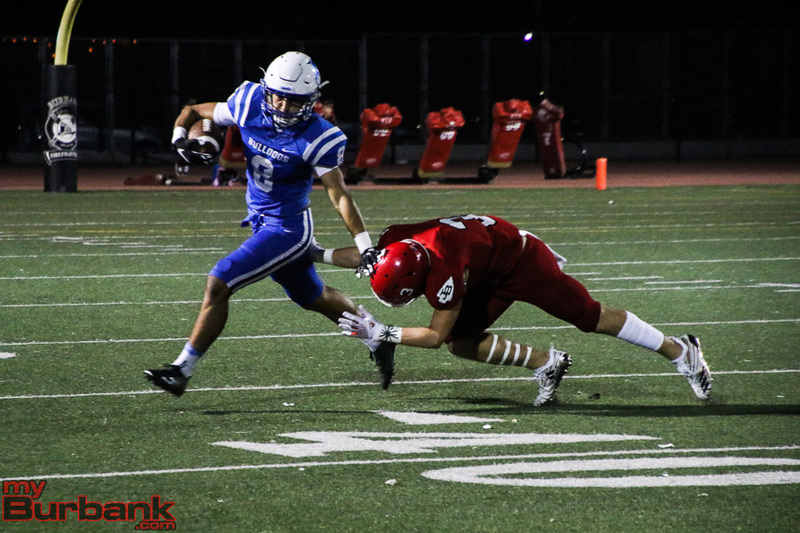 Porras is a dual threat capable of churning out significant yardage on the ground. 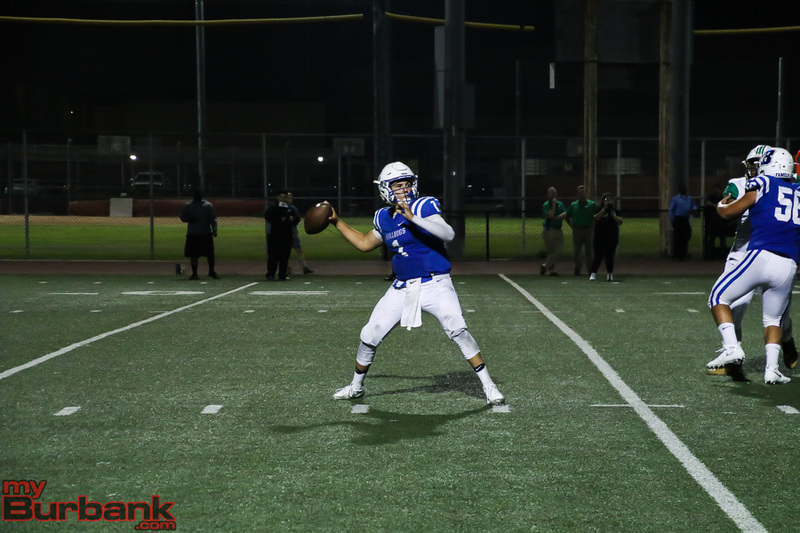 Against the Wildcats, Porras threw for 256 yards with six touchdowns and one interception. 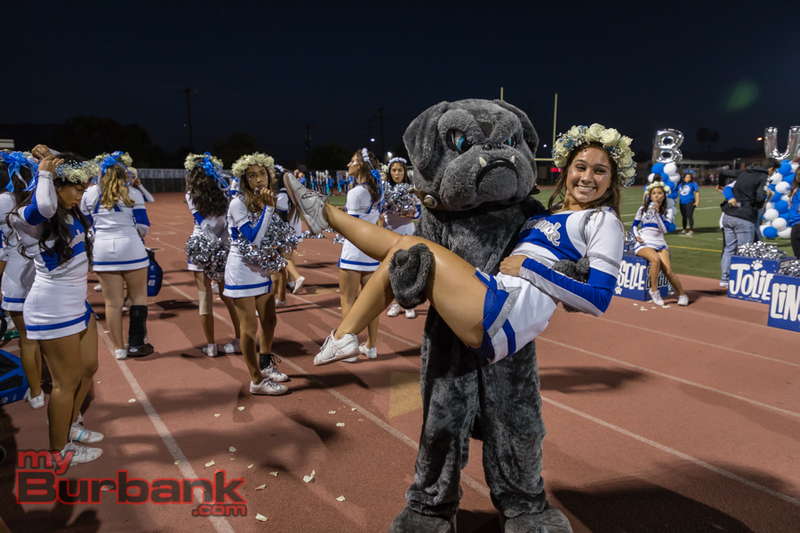 Five of the scoring tosses came in the first half as the Bulldogs scurried out to a 32-0 advantage and were never headed. 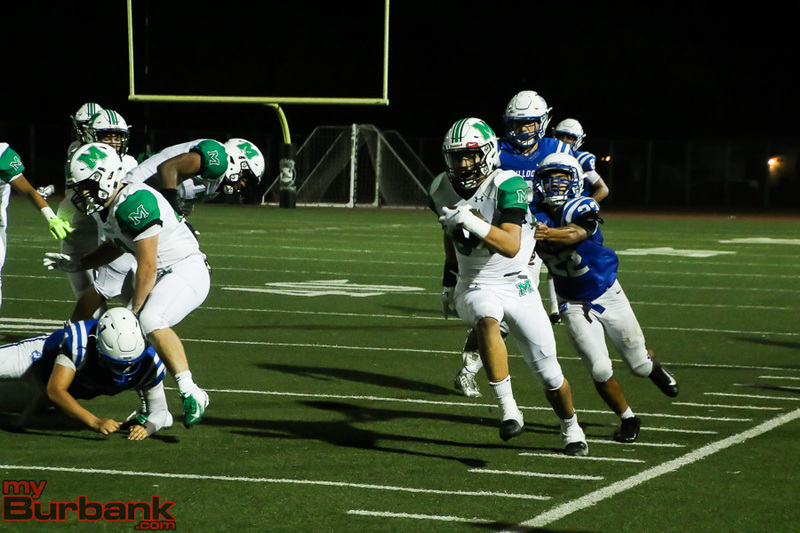 Monrovia (97 total net yards) came out in the second half and scored on a 90-yard kickoff return by sophomore cornerback/strong safety Adam Perry. 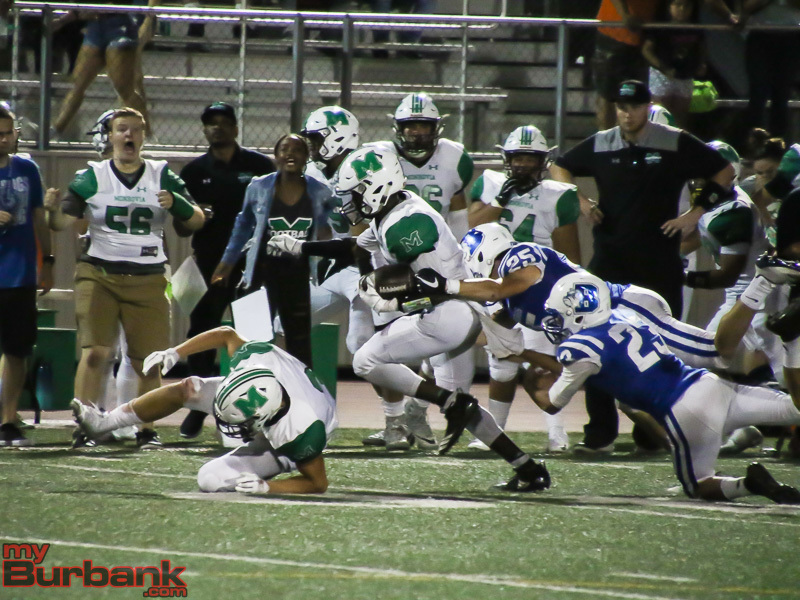 The Wildcats then cut the deficit to 32-12 when junior running back Maury Rams IV (13 yards on seven rushes) scored on an 11-yard burst with 9:05 left in the third period. 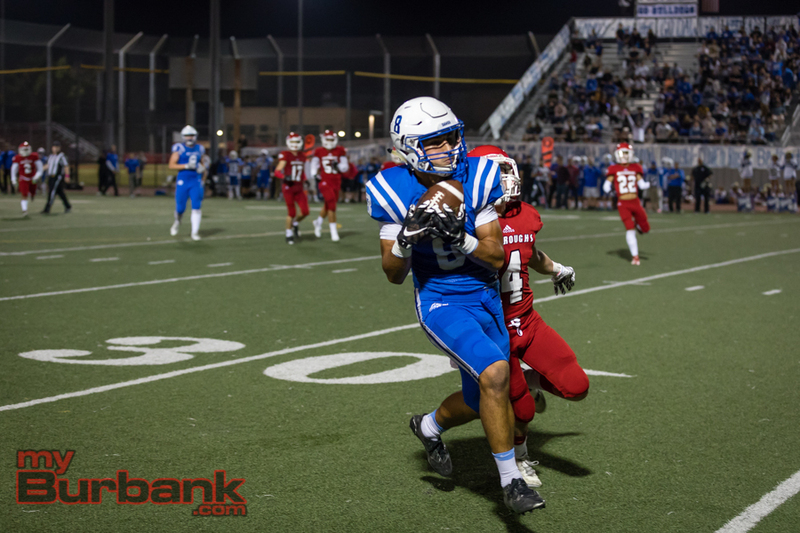 Other than that, it was simply all Burbank, which extended its lead to 38-12 when Porras tossed a 19-yard strike to tight end Duncan Smith (four catches for 80 yards) with 5:36 showing, finalizing a nine-play, 73-yard march. 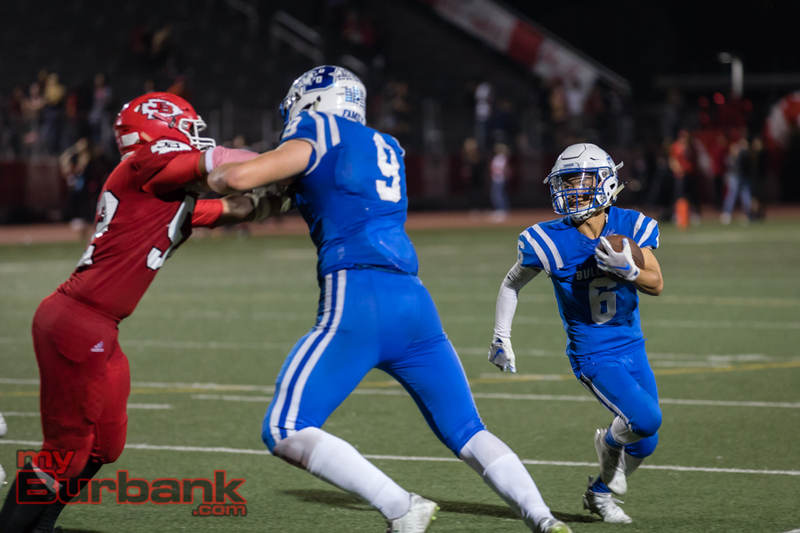 Burbank’s lead became 45-12 when senior offensive lineman Matthew Sanchez recovered the ball in the end zone with 6:22 left in the fourth period after Porras (98 yards on 19 carries) ran to the one-yard line, but fumbled. 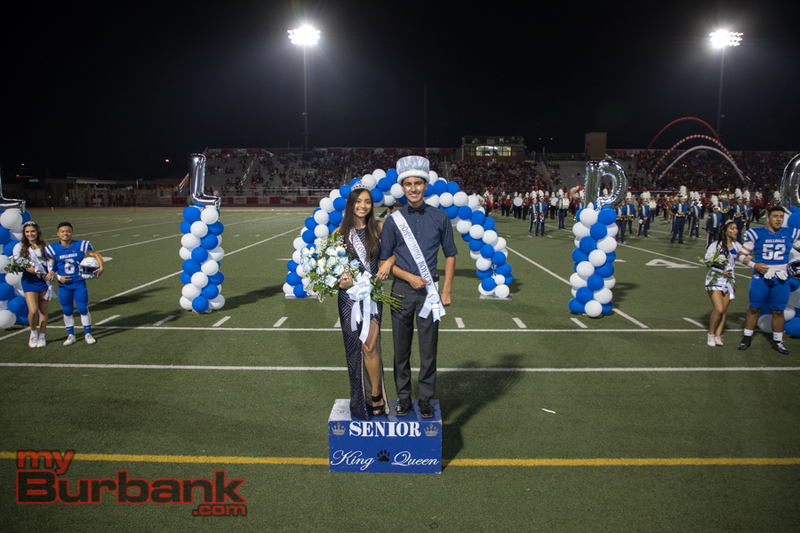 The scoring parade started when Porras, who completed 19 of 30 passes, drilled senior running back Chadz Vang (53 yards on three receptions and 51 yards on seven rushes) with a 23-yard toss as 10:02 remained in the first quarter for a 6-0 cushion and capped an 85-yard, six-play march. 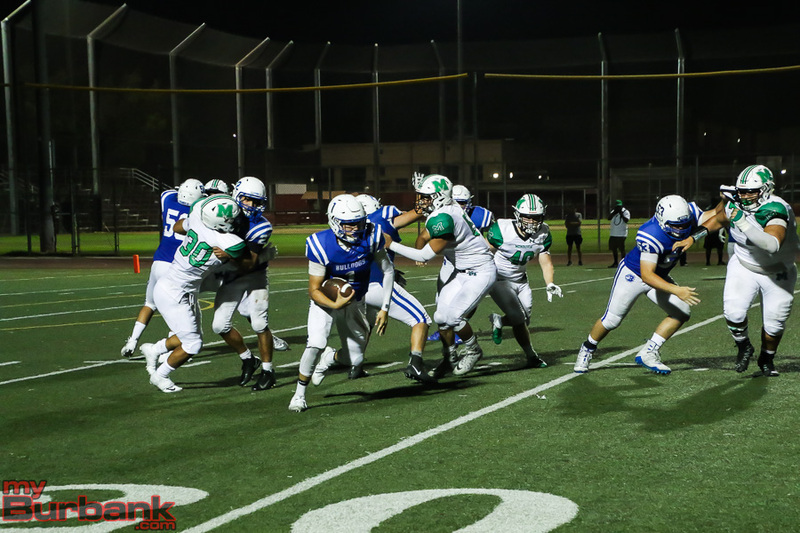 When Porras found Smith with a 35-yard aerial and 8:18 left in the initial frame, the advantage became 13-0. 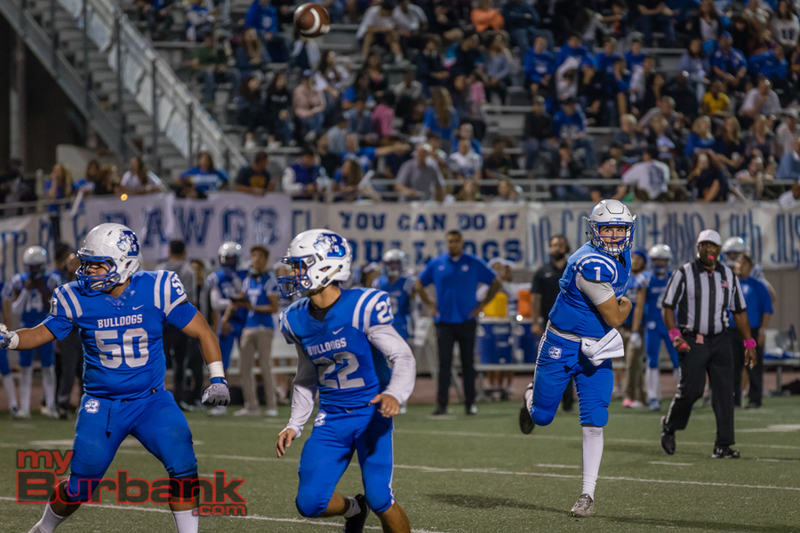 After Porras located Vang with a 14-yard bullet and 11:53 left in the second quarter, Burbank’s margin was 20-0 as the Bulldogs (449 total yards) drove 76 yards and used six plays. 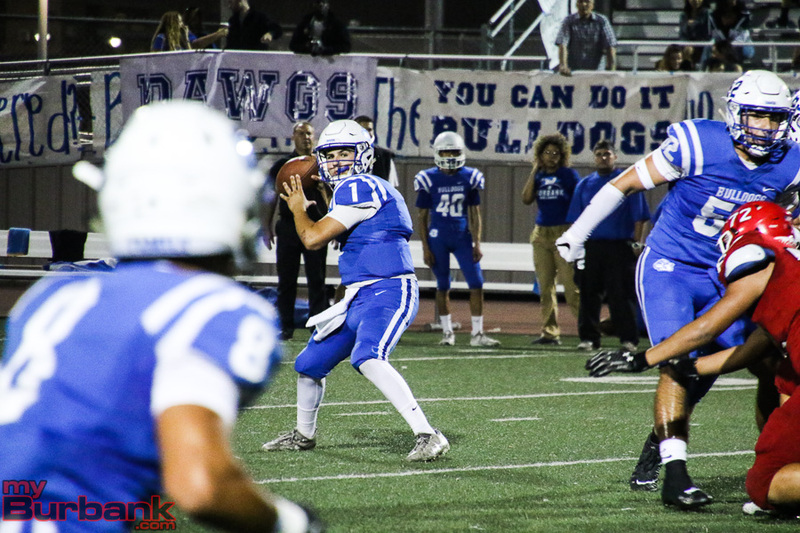 Porras then hooked up with senior running back Max Mendiata (41 yards on 12 carries) with an 11-yard pass and 6:18 showing as the Bulldogs pushed ahead 26-0 after moving the ball from the Monrovia 46-yard line while consuming nine plays. 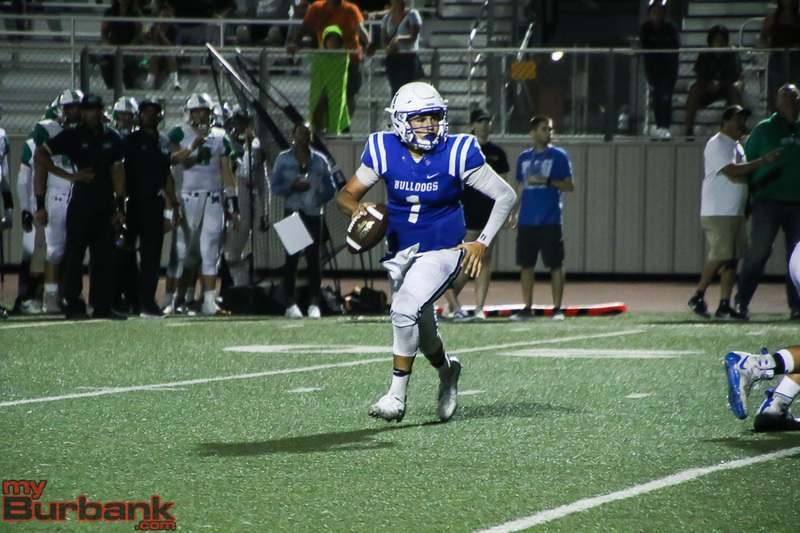 The Bulldogs ended the opening half with a 10-yard offering from Porras to junior wide receiver Ben Burnham (three catches for 51 yards) with 14.4 seconds on the clock as Burbank marched 54 yards over 14 plays. 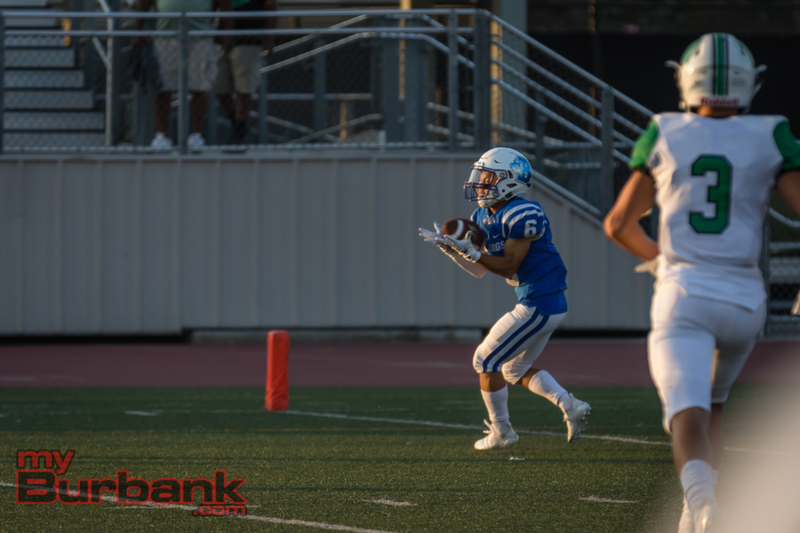 Senior wide receiver Erik Harutyunyan snared four catches for 30 yards, while junior tight end Seth Jones hauled in four receptions for 34 yards for Burbank, which will travel to Moorpark for a nonleague game next Friday with a 7 p.m. kickoff. 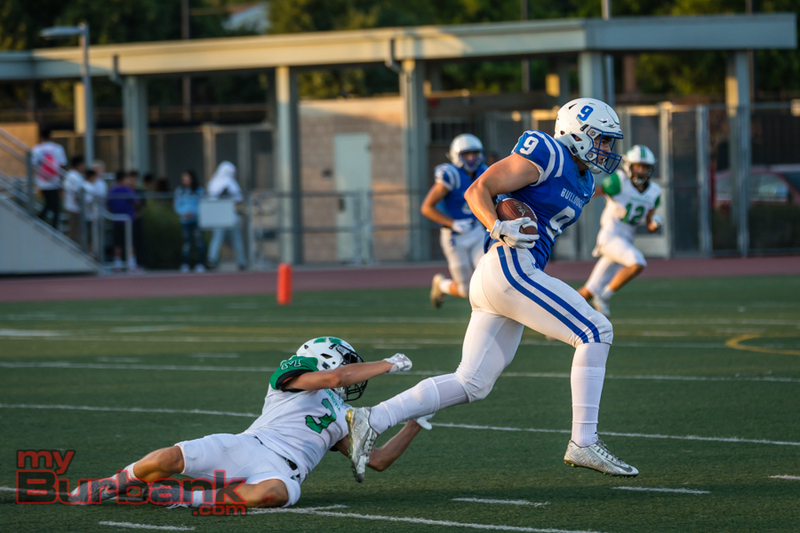 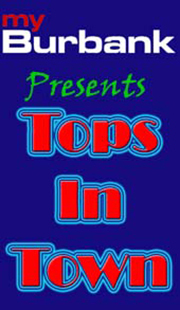 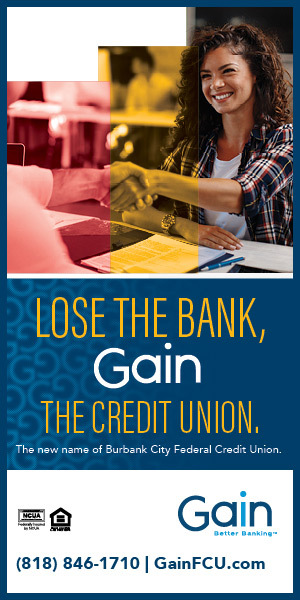 This entry was posted in Football, Sports and tagged Ben Burnham, Burbank High, Chadz Vang, Duncan Smith, Football, Matthew Porras, Matthew Sanchez, Max Mendiata, nonleague, Seth Jones on August 18, 2018 by Rick Assad.